A wide variety of the planet's animal species call the Philippines home. Conservation International, a nonprofit environmentalist group founded in 1987, recognizes the Philippines as one of only 17 mega-diverse countries in the world. Mega-diverse countries are nations that shelter the bulk of Earth's animal and plant life. In other words, these countries have extreme biodiversity in terms of genetic, genus, and bio-network mixtures. With so much biological diversity, the country is also home to a large number of threatened animal species. As of the day this article was published, the International Union for the Conservation of Nature and Natural Resources (IUCN), has declared 418 animal species in the Philippines to be threatened: meaning they are either vulnerable, endangered, or critically endangered, according to the IUCN red list criteria. 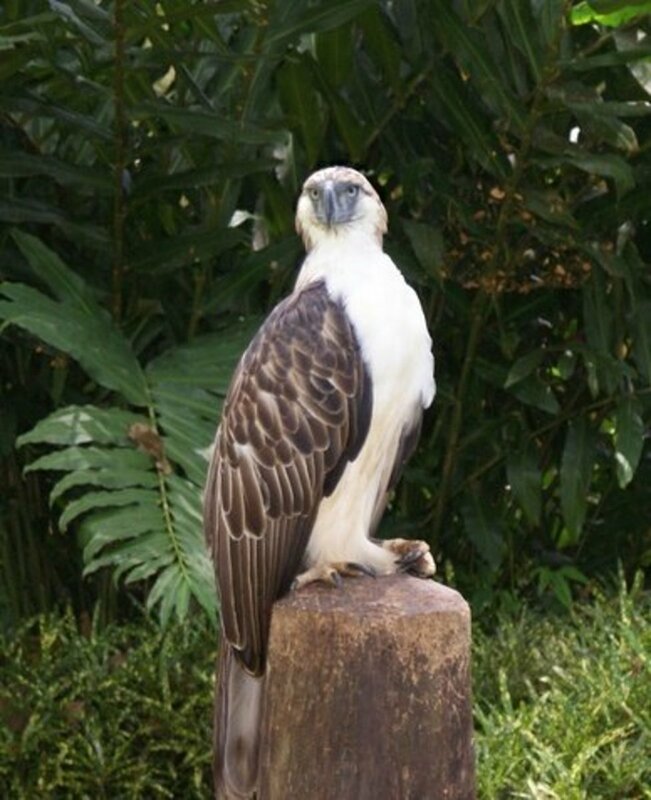 Also called the monkey-eating eagle, the Philippine eagle is native to the southern Philippines. It is characterized by a brown and white feather pattern and bushy crest, and is believed to be one of the largest and most powerful birds on Earth. A full-grown adult can grow to as big as four feet (ft) tall and can weigh as much as nine kilograms (kg). The monkey-eating eagle is the Philippines national bird. Major threats to the Philippine eagle's survival are deforestation, mining, and pollution. The IUCN has the Philippine eagle on its red list of critically endangered animals due to several factors. In 1988, it was added to the list of animals in threat of extinction. In the1990s it was classified as critically endangered. There are very few of these eagles left. Their global population has been steady declining for the past 56 years. Various legislations have been passed protecting the Philippine eagle, but such laws have been poorly enforced, thus the continued decline in the eagle's numbers. There are natural reserves and other protected areas at natural parks like Mt. Apo and Mt. Katinglad. The Philippine Eagle Center, which can be found in Davao on the island of Mindanao, oversees the captive breeding of these eagles. Locally known as Mindoro crocodiles, they are endemic in the Philippines. The Philippine freshwater crocodile is quite small compared to other crocodiles, growing to about four and a half to five feet long and weighing approximately 15 kg. The Mindoro crocodile is also listed as critically endangered by the IUCN. 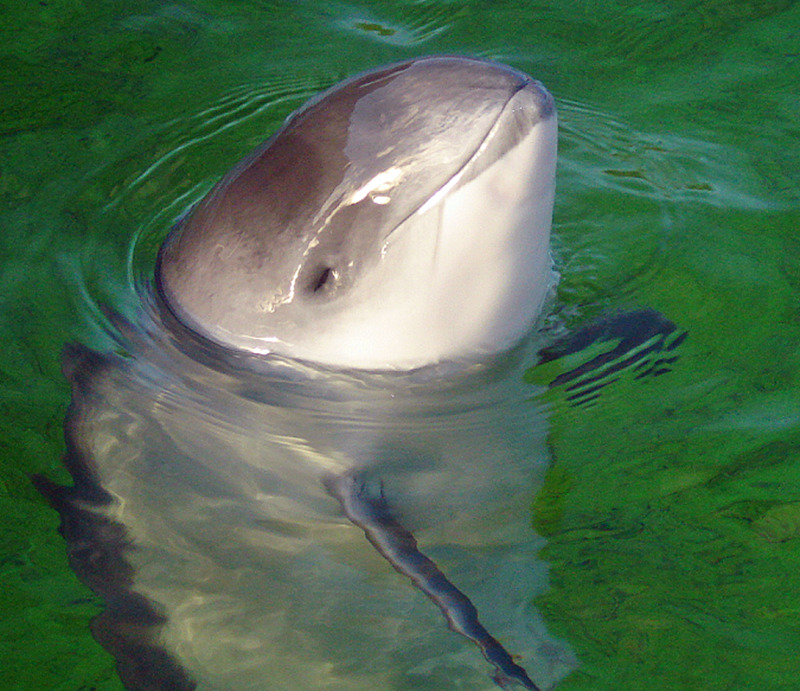 It is reported that as of September 2011, there are only 250 of them left in the country. Experts attribute illegal hunting and dynamite fishing to the decline of the Philippine freshwater crocodile. The Philippine freshwater crocodile is currently on the IUCN red list and is classified as a critically endangered species. Population trend estimates say that the numbers of this species is continuing to decline. One of the threats to this species include excessive exploitation for commercial use, but the biggest threat it faces to date is the massive clearing of rainforests that serve as the crocodile's natural habitat. The forests are cleared to be converted into farmlands. 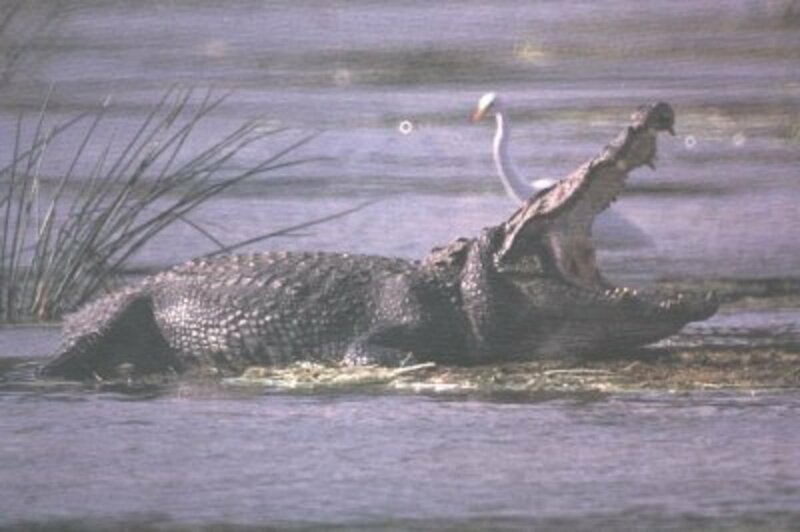 Another threat comes from the locals themselves, who illegally hunt the crocodiles. There is a current need to educate locals when it comes to the difference between the small Philippine freshwater crocodile and the saltwater crocodiles that also inhabit the same area. Locals tend to hunt the smaller and endangered local crocodile species without realizing the damage they are causing. 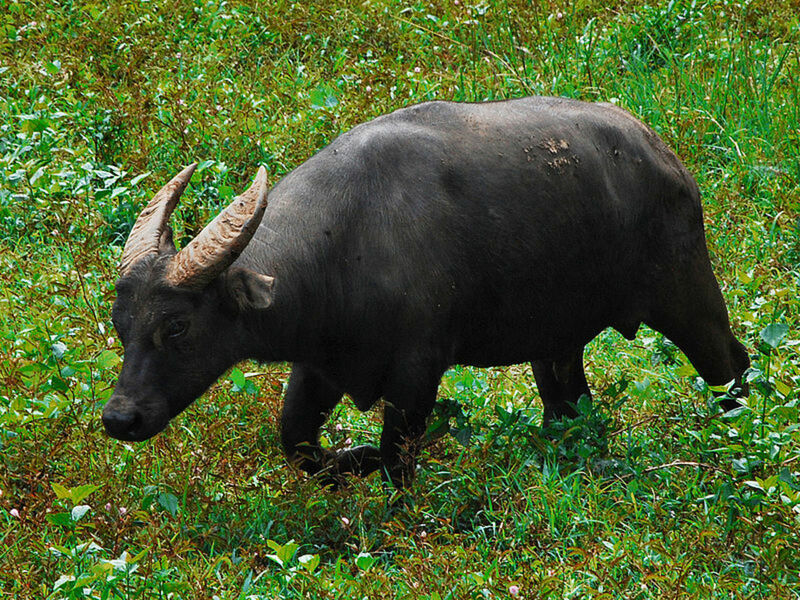 Also known as the Mindoro dwarf buffalo, the Tamaraw is the only known bovine that is indigenous to the Philippines. Until the 20th century, the original habitat of this species was essentially intact and unharmed. They were once found all over Mindoro Island, from the plains up to the mountains. But now the population has been reduced to about 200, with many being carefully bred in captivity. Another critically endangered animal according to the IUCN, the main causes of the Tamaraw being on the list of endangered animals in the Philippines are illegal hunting, logging, and residential land clearing. The Tamaraw shares a lot of physical traits with other types of bovine. It has a heavyset body, legs that end in cloven hooves, a short neck, and a horned head. However, unlike the other species included in its family, this one tends to be smaller and a lot stockier. Males have thicker necks compared to females. It has an average shoulder height of 39 to 41 inches (in) and can grow up to 7.2 feet in length. The heaviest Tamaraw ever recorded weighed around 660 pounds (lbs). Adult Tamaraws have a darker grey or brown color. They have distinctly shorter legs compared to other buffalo species. Their inner lower forelegs as well as their hooves have distinct white markings. The ears also exhibit the same white markings on the tips. Locally called a Kalaw, it is also known as the Visayan Wrinkled Hornbill. The Kalaw is endemic to the Philippine islands of Panay and Negros, although it can also be found in other regions of the country such as Zamboanga del Norte in Mindanao. Excessive hunting and illegal logging caused the disappearance of this species in the areas of Negros and Guimaras. Because of that, it has been included in the IUCN Red List of critically endangered species in the country. This colorful bird is also the second most critically endangered species of hornbill in the world. Just like other species in its family, Walden's hornbill also has that distinct bony casque atop its bill. 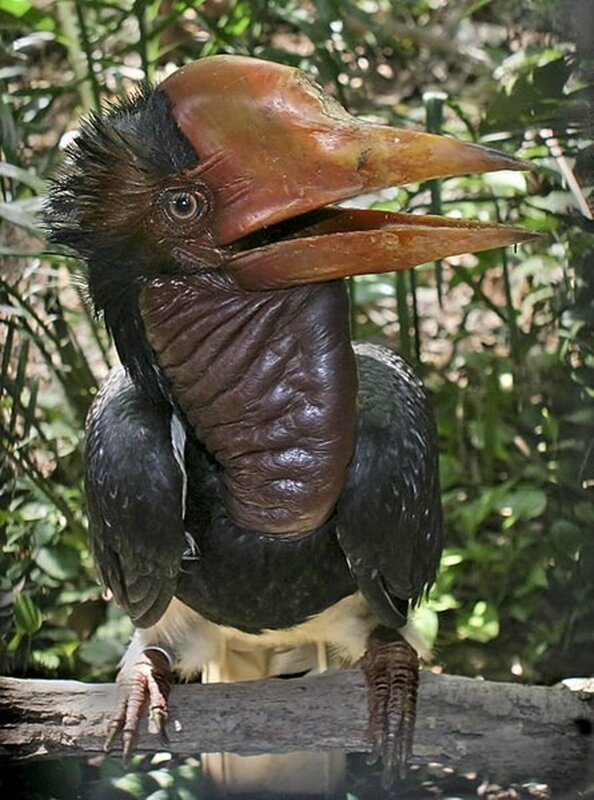 The Walden hornbill, however, has a reddish-orange colored casque and it appears sort of wrinkled. Other than the reddish-orange bill, it also has a distinct ridged mandible. The feathers on the upper chest as well as the necks are reddish-orange colored as well. Another distinct feature is the bare skin around its red eyes. The plumage on its body is usually black, but its tail feathers are white with a black tip. Female Kalaws are smaller than the males. The feathers on their breast, neck, and head are black. Females are also brown eyed with a blue green coloration on the skin. This land mammal is also in the IUCN's list of critically endangered species in the Philippines. Once ubiquitous in the central Philippines, especially in the island of Cebu, the pig can now only be found on two islands: Panay and Negros. Some experts believe that a small herd may still be located in the island of Masbate although it is not confirmed. The disappearance of this species on the island of Cebu was not only brought about by illegal hunting and logging but also agricultural land clearing. The animal's natural habitats were turned into rice fields to accommodate the growing demand for crops in the region. Now, small population concentrations of this species are bred in captivity. Some still live in the wild, although they are very rare, which is why not much is understood about the mammal's natural behavior. This species is also known by a variety of names among the locals. It is called the Cebu bearded pig, Baboy Talunon, Bakatin, and Baboy Ilahas, among others. 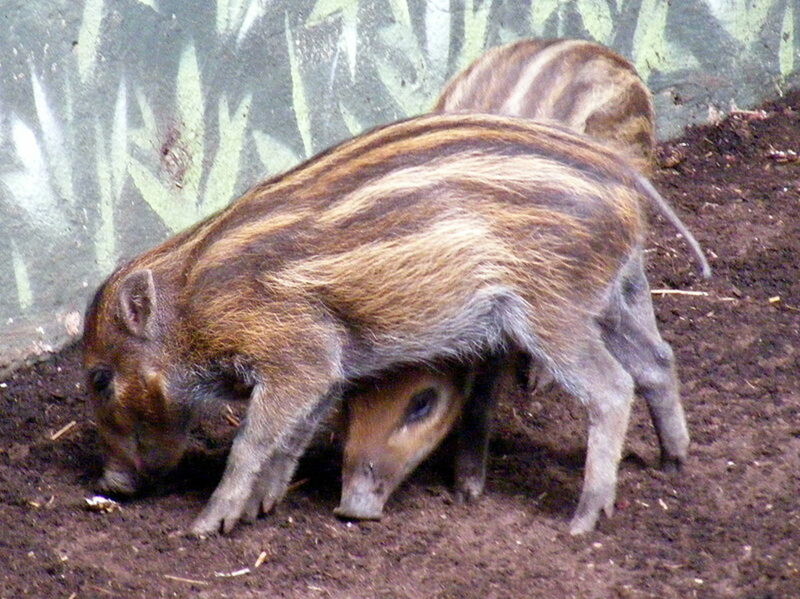 Adult Visayan Warty Pigs can grow up to 100 centimeters (cm) in length. Females can have a maximum shoulder height of 45 cm while males grow up to 63 cm. Its longest tail length is around 23 cm. Adult females weigh between 20 to 35 kg while adult males weigh between 35 to 40 kg. Estimates show that the largest adults of this species can weigh up to 80 kg. The body of this mammal is covered albeit sparsely with bristly hairs. The hairs are usually dark grey in color for the males and light brown or silvery for the females. The males, especially those found in Panay Island, grow tufts of hair from their heads down to their necks, which eventually become manes. The most distinguishing feature of this species is the white stripe that runs along the bridge of their noses all the way to their mouths. 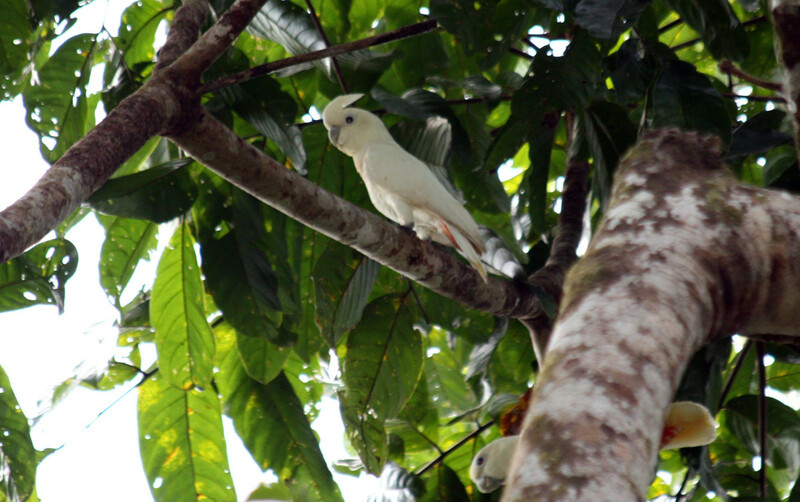 Locally known as Kalangay, Katala or the red-vented cockatoo, the Philippine cockatoo is indigenous to the Philippines. This species used to be common in the whole country but today only 180 of them are known to live in the wild within the forests of Palawan. These birds are listed by the IUCN as critically endangered because of illegal trapping by poachers hoping to make a profit selling them to private collectors and pet enthusiasts. Another reason for the population decline is that the birds are considered agricultural pests and are killed or trapped by farmers attempting to protect their fields. The Philippine cockatoo is covered in white plumage, which makes it really attractive. However, the bird's undertail coverts are red with white tips. The feathers under its wings are pale yellowish in color. It also has the ability to mimic the human voice, which makes it a highly valued pet. This is why it is vulnerable to illegal wildlife trade. This type of pigeon is endemic to the islands of Negros and Panay in the Philippines and is one of the many critically endangered pigeon species in the country listed by the IUCN. These birds always come in pairs or in a flock and are ground feeders, meaning they hunt on the ground and are easy pickings for poachers. Its population continues to decrease to this day because of ongoing deforestation and excessive hunting for its meat and the exotic pet blackmarket. The Negros bleeding-heart is a very colorful bird. It is a medium sized and grows up to 30 cm tall. It is a ground-dwelling pigeon that has a characteristically short tail. Its name, "bleeding heart," comes from the bright narrow line of red feathers enveloped by white feathers located at its chest and throat. To add to its vivid array of colors is a mantle of iridescent green that covers its crown, lesser wing coverts, nape, breast sides, and upper mantle. This forms an incomplete breast band. Its inner wing coverts have a greyish-white band of feathers. The feathers on its belly feathers have a creamy white color. Also called the Philippine bare-backed fruit bat, these are large bats found in the caves of Negros Island in the Philippines. They are listed as critically endangered by the IUCN, and a small population is reported to have been sighted on the island of Cebu as well. Deforestation and agricultural land clearing are the main causes of the reduction of their population and habitat. In the 1980s, locals cut down lowland forests in favor of sugar cane plantations and the bats gradually disappeared afterwards. In 1996, the IUCN proclaimed that the species was extinct, but revoked the classification in 2000 when a small group was sighted. The Philippine naked-backed fruit bat is one of the species of mega-bat that are endemic to the country. Most of its population live on the island of Negros. Just like all species of fruit bats that have a bare back, its wings meet along the midline of its body. It is surprisingly agile when it flies across the sky. 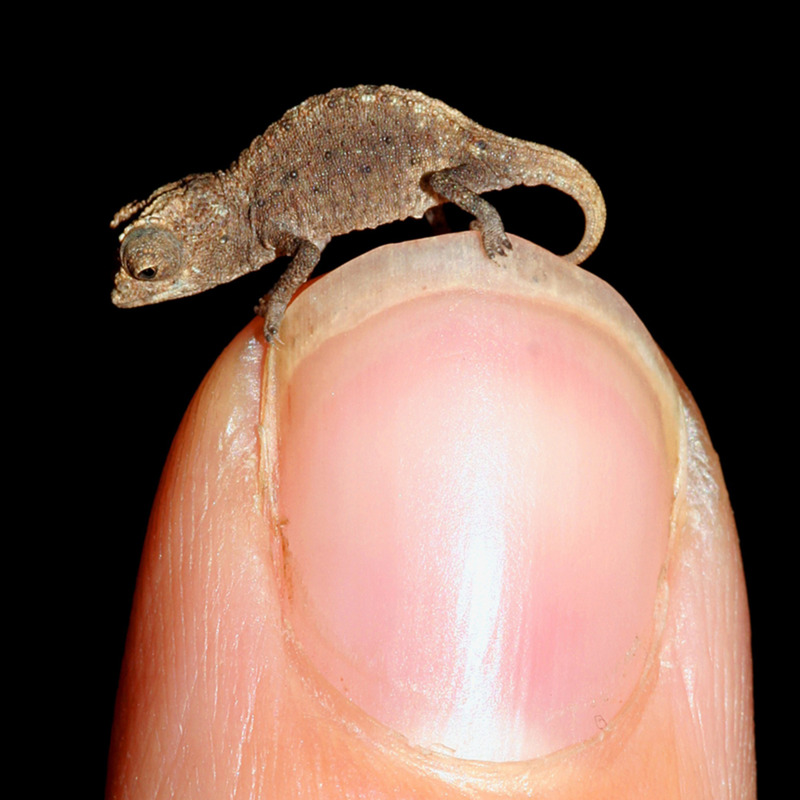 An adult Dobsomia chapmani will measure anywhere from 218 mm to 221 mm in length, from the tip of its notes to its tail. They usually weigh from 125 to 143 grams. The connection of the wings to their back's midline gives it a furless appearance. Also known as Palawan turtle or Leyte pond turtle, this freshwater turtle is native to the Palawan islands of the Philippines. They are classified as critically endangered by the IUCN and several conservation programs have been conducted to increase its population. With its highly hostile territorial behavior, the Philippine forest turtle does not thrive naturally when in captivity. Because of habitat loss and too much catching by collectors, they have dramatically decreased in numbers. The Philippine forest turtle is known by several other names such as the Leyte pond turtle, the Palawan turtle, and Philippine pond turtle. Even though some people call it the Leyte pond turtle, it is nonexistent on Leyte Island. 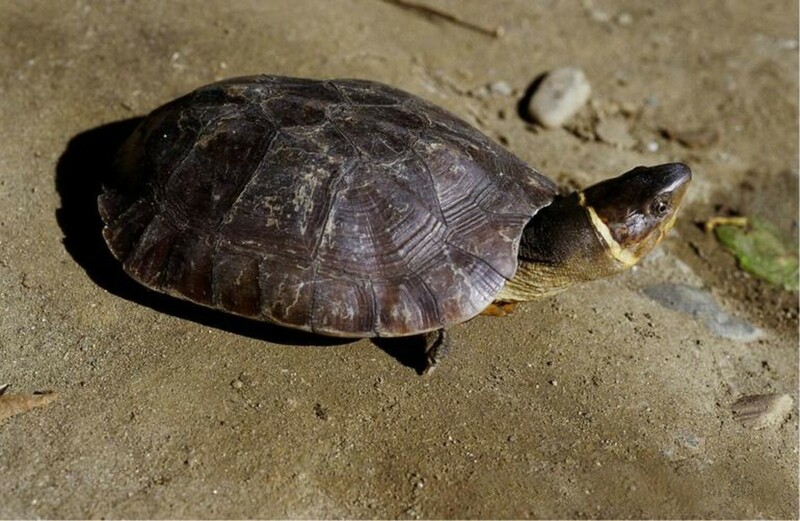 This turtle species is in fact a native of the island of Palawan. Its vertebral scutes have a rather gingko shape. It also has a gradation of pale-white to yellowish coloration line to be found near its ears. This is also the reason why some folks call it the bowtie turtle. This type of cloud rat is indigenous to Dinagat Island in the Philippines. They are nocturnal by nature and are herbivores. 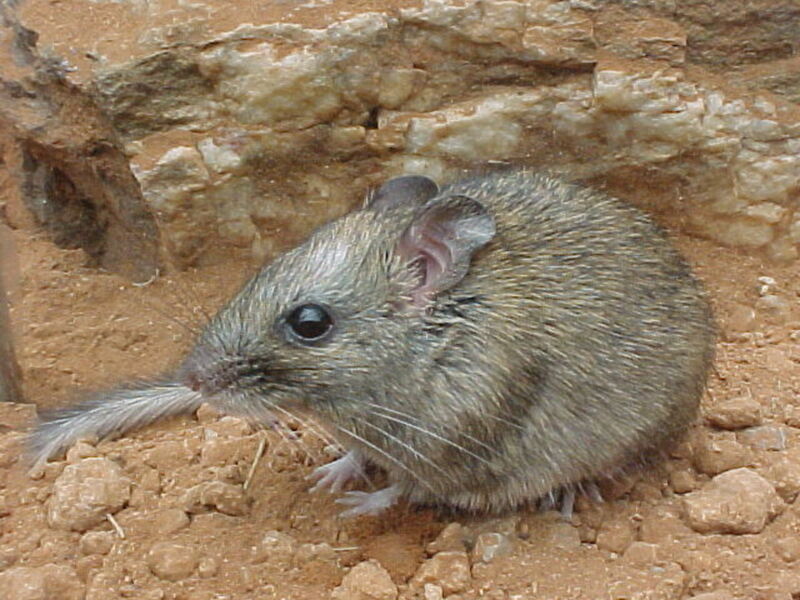 They are one of several cloud rat species listed by IUCN as critically endangered in the country. They have almost been driven to extinction because of the loss of their natural homes due to deforestation, chromite mining, and excessive hunting. Cloud rat meat is considered a delicacy among the locals. 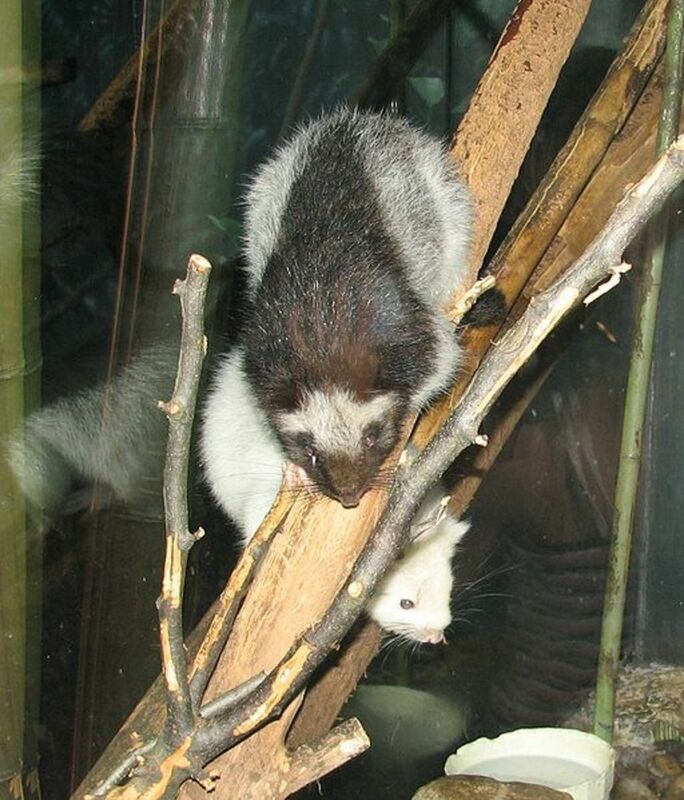 The Dinagat cloud rat has a tail that is longer than the length of its body. The length of its tail is around 11 in or 28 cm. Its body is about 10.4 in (measuring from its nose to its rear, excluding the tail). It has a rather orange or tawny colored fur. It does not bear color patterns on its body. Its head does not have the familiar crest of fur that is present in other members of its family. It also has a characteristic striped tail. Its ears are heavily pigmented and round. Each ear also has short, brown hairs. Its lower parts have an orange-like shade beginning from the neck all the way down to its belly. This sea turtle is commonly known among the locals in the Philippines as the Pawikan. This species of turtle can be found in other parts of the world as well. 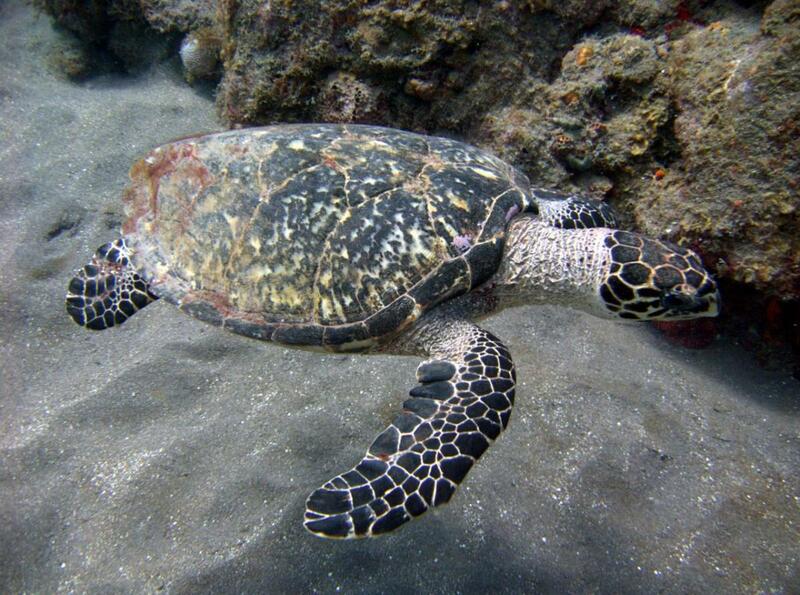 The Hawksbill sea turtle shares a lot of features with other types of marine turtle species. Just like other turtles it has a protective carapace that serves as its distinguishing feature. Unlike the typical land turtle, this marine turtle has a flattened body shape and limbs shaped like flippers for hydrodynamic efficiency when swimming. Its most distinguishing feature is its Hawk's bill (hence its name): a narrow, pointed beak. Considered a medium-sized reptile, they can grow up to three feet in length and weigh up to 180 lbs. The heaviest recorded Hawksbill caught in the wild weighed around 280 lbs. The turtle's shell is known for its amber coloration. It also has streaks of light and dark colors. You will find other shell colors, which include brown. The shell often appears to be speckled. Hawksbills are vegetarian and adults are usually found feeding in coral reef areas. They also nest and forage in mangroves. This is a migratory species of sea turtles. As such, they can thrive in a variety of habitats such as mangrove swamps, lagoons, and even in the open ocean. This small primate is another endangered species endemic in the Philippine islands. This species was once widespread throughout Southeast Asia. 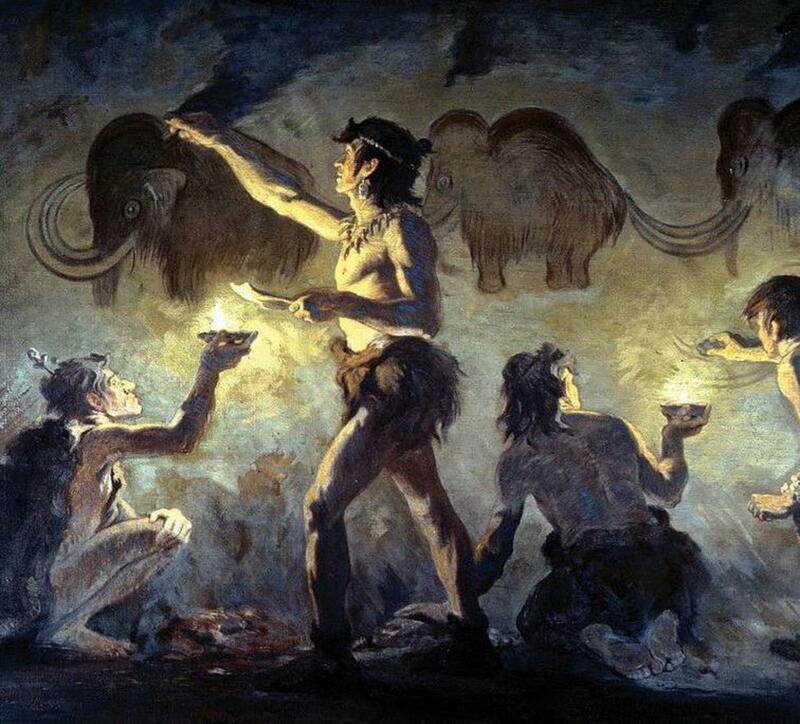 Fossils of these animals were also found in North America and Europe. Tarsiers today can also be found in other Asian countries such as Indonesia and Malaysia. In the Philippines, you can find tarsier in the southeastern region of the archipelago. Current data shows that there are species that have been found inhabiting the islands of Mindanao, Samar, Bohol, and Leyte. Some of can also be found in Maripipi Island, Dinagat Island, and Siargao Island. 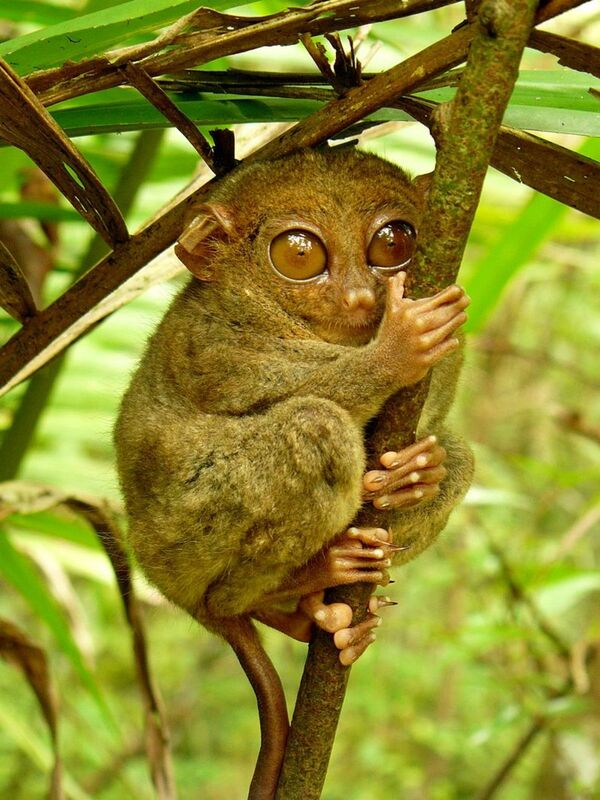 The Philippine tarsier is considered one of the smallest species of primates in the world. They measure around 118 to 149 millimeters (mm) and they weigh somewhere from 113 to 142 grams. In contrast to their little bodies, tarsiers have distinctly large eyes. Their anatomy shows that a tarsier eyeball is as big as the animal's brain. A tarsier's eyeball can have a diameter of 16 mm. The Philippine spotted deer is a nocturnal animal and one of the three endemic species of deer in the country. They primarily thrive in the rainforests found in the islands of Negros and Panay. However, they used to be found in other neighboring islands in the country such as Samar, Masbate, Leyte, Guimaras, and Cebu. 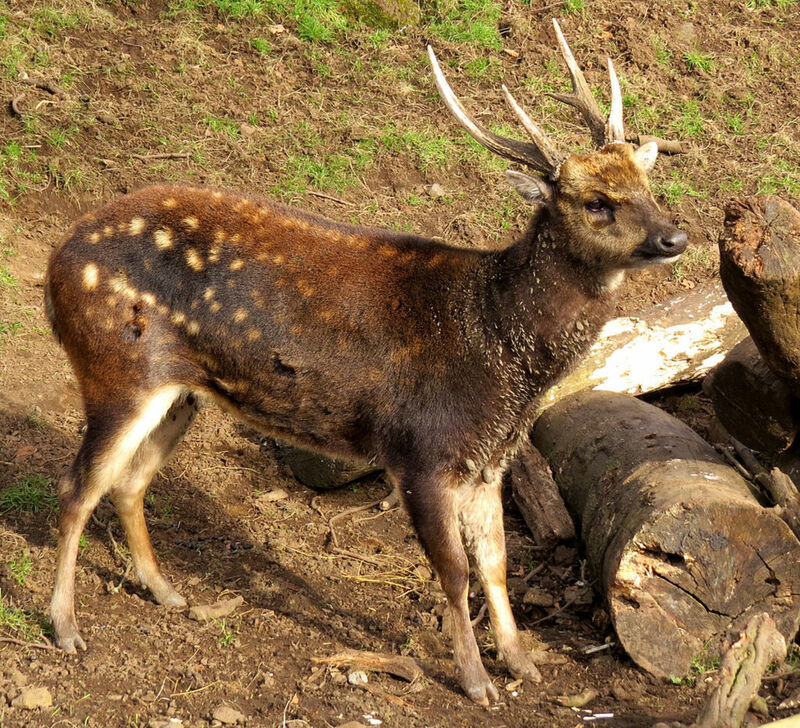 This species of deer is comparatively small with its short legs. Nevertheless, they are the biggest deer specimens you can find in the country's Visayan Islands. An adult spotted deer can grow up to 51 inches in length and about 31 inches in height, measuring from the base of the foot to the shoulder. 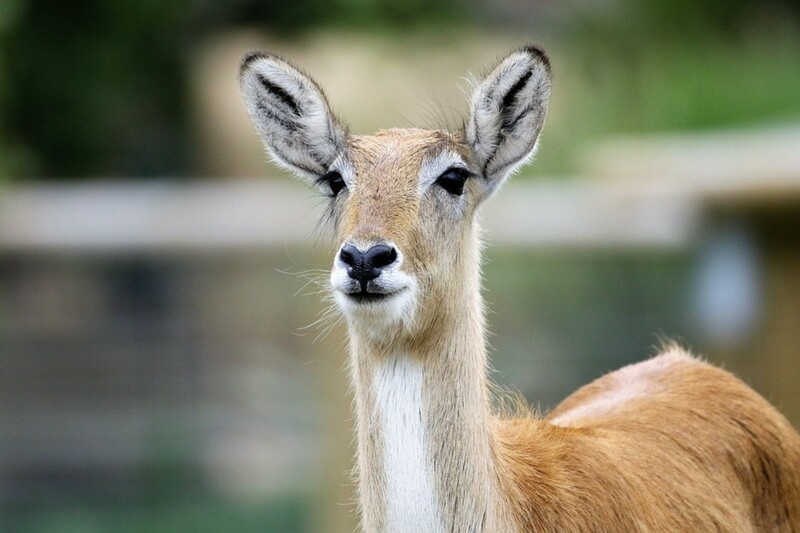 An adult deer can weigh as much as 85 kg. Conservations efforts are ongoing as conservationists work to create reservation areas on various islands. However, in spite of such efforts, only an estimated 300 spotted deers are still in the wild. Local wildlife groups and conservationists are poorly funded and face very little support from government. To date, studies have shown that the Sulu hornbill now faces the imminent danger of extinction. It is believed to live only on one island in the Philippines, and its numbers are declining. The massive decline in the population of this species is caused by hunting, illegal wildlife trade, and the destruction of the forest tracts where this hornbill thrives. The majority of the hornbill's body is covered by dark black feathers. In contrast, the tail feathers are white. A top coat of feathers on its upper parts are dark green and glossy, covering part of the wings and the back. The bird's bill is black as well as the skin around its eye. 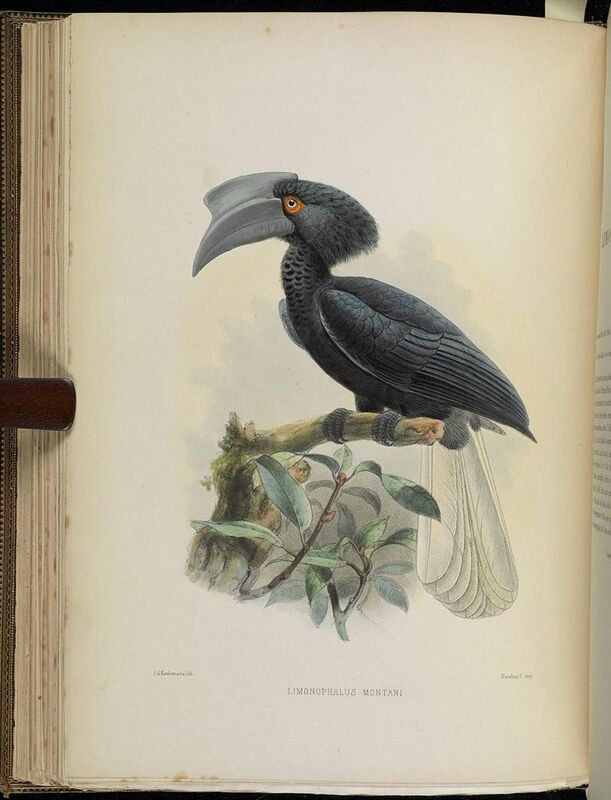 Male Sulu hornbills have cream colored irises while females have dark brown. Juvenile hornbills of this species either have white tipped primaries or casque-less bills. These birds make shrieking and cackling calls in a patterned intervals. 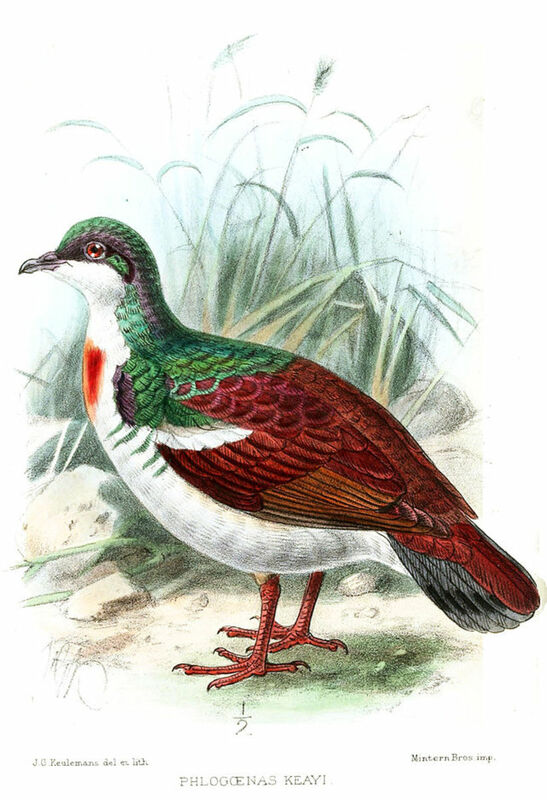 Because of the fact that no recorded sighting of the Negros fruit dove has been made since the first specimen of the Negros fruit dove was collected in 1953, the IUCN put this bird on their red list. There was an unconfirmed report of a sighting in 2002, as well as other protracted surveys, but none of them can be confirmed. This species of fruit dove is extremely shy, fleeing and hiding from surveyors. That being said, there are more surveys that must be made in Panay Island, where the bird is believed to thrive. The main factors that have contributed to the decline of this bird species include hunting and the destruction of its natural habitat. 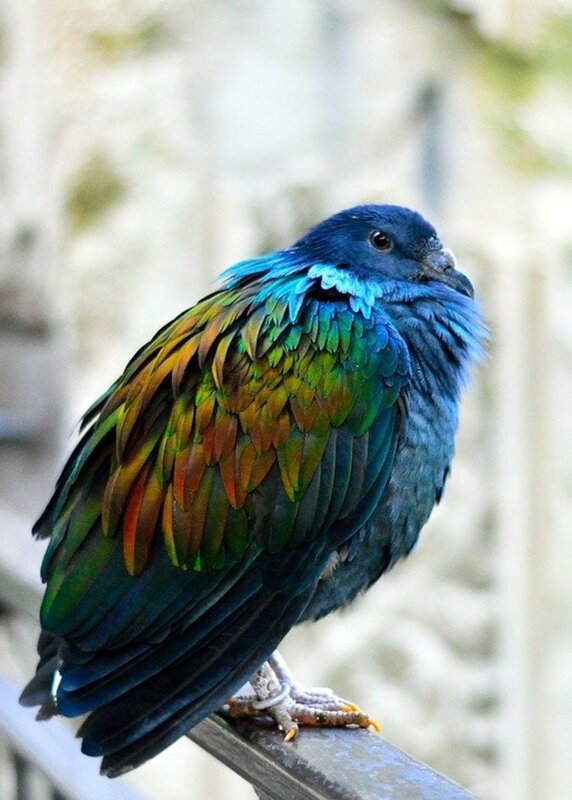 The existence of the Negros fruit dove is confirmed by only a single specimen – a female that was collected in the 50s. It is about 16.5 cm in length, which makes it very small. Its feathers are dark green, providing perfect cover in foliage. Another distinguishing feature is the presence of a ring of feathers around its eye, which are bright yellow in color. It is also distinctly marked by a greyish-white coloration along its throat. It also has yellow feathers in the undertail coverts. Yellow fringes and dark streaks make a conspicuous feature on its folded wings. The IUCN classifies the Luzon Island endemic Flame-breasted fruit dove as vulnerable. The rapid decline of the island's forest has greatly contributed to the rapid decline of this bird's population. The other factors that contributed to the rapid population decline include hunting and illegal wildlife trade. 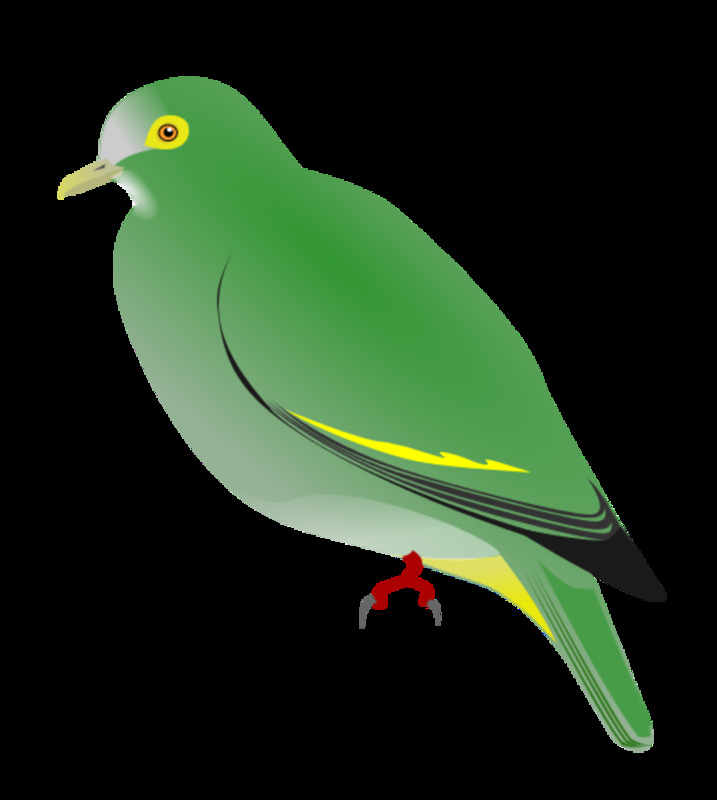 This fruit dove is particularly large compared to other local species at 40 cm in length. The feathers on its head are peculiarly rusty red in color. A black patch of feathers marks its ear coverts. Another orange patch of feathers can be found extending from its throat going down to its under parts. The feathers on its sides are markedly light grey. The feathers on its wings and back are chiefly black in color. The rump and tail have dark green feathers. It also has a red bill and its legs are also reddish. Hippopus hippopus is known by many different names. Some call it the Strawberry clam, Bear Paw, and also the Horse's Hoof. 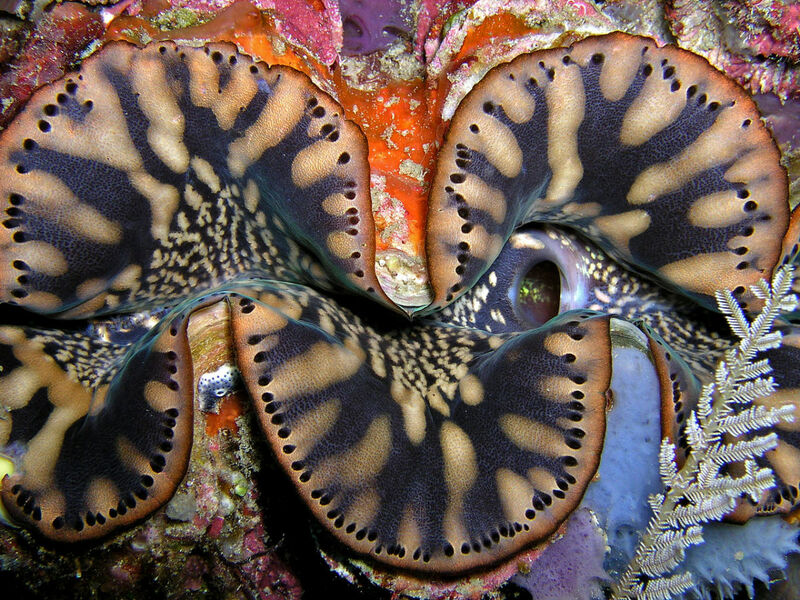 This species belongs to a family of large saltwater clams, specifically the giant clam family, which is why the locals just call it the giant clam. Its conservation status according to the IUCN is "conservation dependent," which is why it is included in the red list of threatened species. The shell of this type of clam is pretty hard and quite thick. The ribs are rather prominent. What makes it quite distinct from other species of clam in its immediate environment are the reddish blotches that you will find on its shell. Note that its mantle will hardly get past the edge of its shell. The mantle has a distinct brownish-green color with faint gold stripes. Another distinction is the absence of tentacles in the incurrent aperture, which are usually present in the members of the Tridacnidae family. 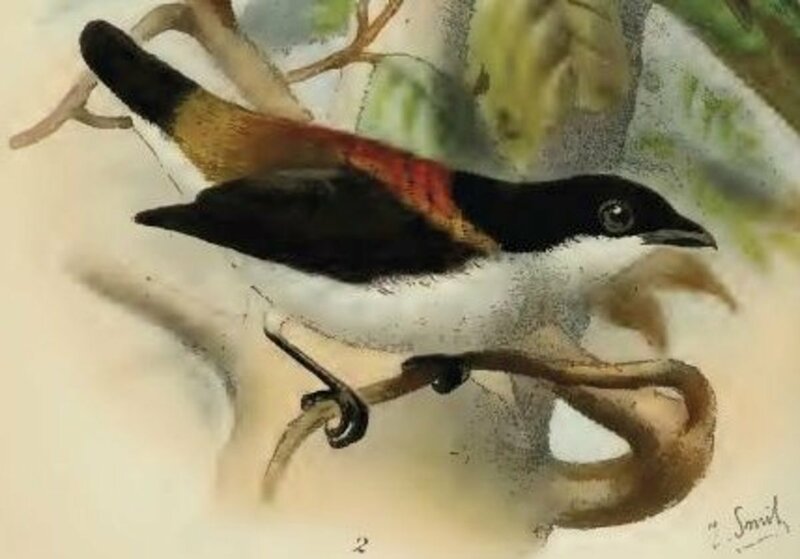 Experts thought the Cebu flowerpecker had gone instinct in the early part of the 20th century. This belief was in large part due to the destruction of almost all of the island's forests. The good news is that it was rediscovered back in 1992. Today, the Cebu flowerpecker can be found within the Central Cebu Protected Landscape as well as in three other sites. Note that in spite of conservation efforts, the population of this bird species is still extremely small. They have a severely fragmented range. The IUCN classifies this species as critically endangered. This flowerpecker species is rather short and stocky at 11 to 12 cm in length. The male birds of this species have a black head with a lot of bright red feathers on their mantle and back. It also has dark blue wings and the same color combination for its tail. Males also have yellowish-green colored feathers at their tails and rump. Female species have rather dull colored feathers though they exhibit the same patterns seen on males. They also have dark grey feathers on their backs. Females do not have a scarlet mantle of feathers on their backs, like their male counterparts. This species of mega-bat is also known as the Giant golden-crowned flying fox, which is one of the biggest bat species in the world. The IUCN has placed it on the red list as an endangered species that is facing the possibility of extinction. Forest destruction as well as illegal poaching has contributed to the rapid decline of this bat. This bat is a lot larger than other local bat species: it has an average wingspan of 5.6 ft and an average weight of 2.6 lbs or 1.2 kg. These bats are nonaggressive towards humans. However, handling them is not advisable and is a bit dangerous. They are known disease carriers, meaning even if you have to handle them, you still need to get properly vaccinated. These bats are called "golden-capped" because of the golden patch of fur around their head. That cap of gold stands out in contrast to the black of its body fur. Alveopora excelsa populations are in decline. Due to this population trend, it has been included in the IUCN red list as an endangered species. 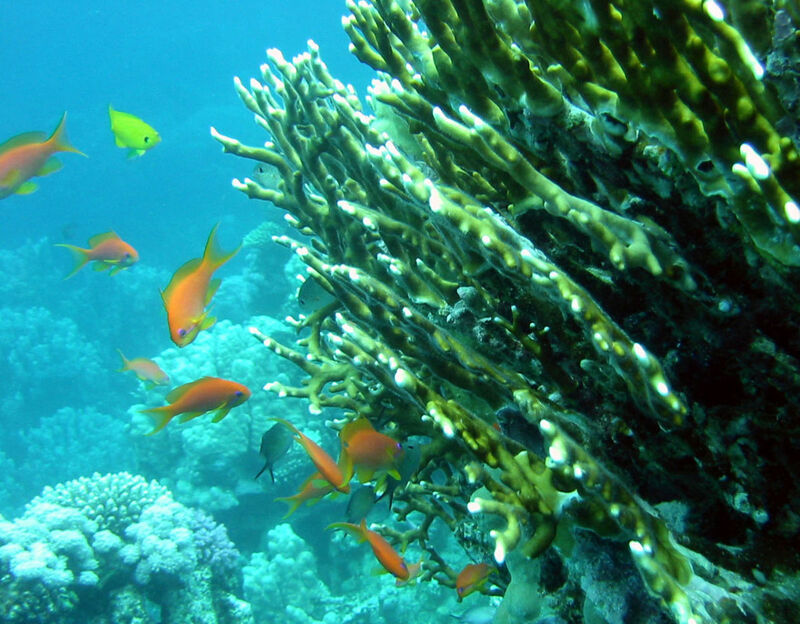 The current aquarium trade has made this specific type of coral a target, with its appearance making it an attractive addition to an aquarium. Other than extraction and use in aquariums, net corals are also susceptible to coral bleaching. Studies show that Alveopora excelsa have a high response to the bleaching phenomenon, making them a likely species to face immediate extinction. This type of coral usually forms colonies that extend up to 2 meters (m). Their polyp skeleton usually has a pink color. When their tentacles have extended, the colonies eventually turn into a field that is beautifully golden brown in color. It is because of their beautiful color that they're a popular pick for people collecting corals for aquariums. Even though this species is relatively widespread, it still remains rare. In fact, sightings today are few and far between. It has been extensively harvested for aquarium trade. On top of that, it is also highly susceptible to coral bleaching. Another contributing factor to its rapid decline is the destruction of its reef habitat. Due to these factors, IUCN has placed them in the red list as an endangered species. Distinct features include knoblike branches that appear to be irregularly dividing, which is a distinct feature of its colonies. Coralites can have a single spine but they can also have no septa. Note that some specimens may have about one or two septas. The coralites are usually small, only about 1 millimeter in diameter. Above the wall, you will also notice that the vertical spines tend to form into a palisade. The False flower coral is actually a type of briar coral. It is endemic to the Philippines and in the waters of other countries such as Japan. It can be found in much of the Pacific Ocean and in the waters of the Solomon Islands. Even though this species of coral is widespread across different territorial waters, the chances of finding it is slim. It is particularly susceptible to disease and coral bleaching. Combine that with the continued destruction of its natural habitat and you have the perfect cocktail for killing coral populations. That is why Anacropora spinosa is included in the IUCN red list, which classifies this coral as an endangered species. False flower corals thrive in shallow reef areas. They appear pale brown in color when you observe them underwater. Its branches are usually around 10 mm in thickness, which tapers to a point and the end. You will also find that its spines usually project underneath. These corallites tend to elongate and have an irregular shape. Sei whales are the third largest whale species in the world. The only creatures larger than this animal are the Fin whale and the Blue whale. They usually live in deep offshore waters, oceans, and other adjoining bodies of water. The mature population of Sei whales has seen a huge decline, up to 80 percent, since the days of commercial whaling, which why it is included on the IUCN's red list as an endangered species. Sei whales can reach up to 64 feet in length and can weigh as much as 28 tons. Female Sei whales are a bit smaller, reaching up to 48 feet in length and weighing about 20.5 tons. Its diet usually consists of zooplankton, krill, and copepods. To keep up with its nutritional requirements, an adult Sei whale needs to consume up to 900 kg (around 2,000 lbs) of food each day. The Sei whale is also one of the fastest sea creatures in the world. They can swim up to 31 miles per hour or around 27 knots, but they can only maintain that speed for short distances. Blue whales are the biggest animals on planet Earth. But size does not determine which species will dominate the animal kingdom. There are different types of blue whales and, most of the time, people refer to the North Atlantic Blue whale when refering to these creatures. Other variants include the Southern Indian Ocean, Northern Indian Ocean, North Pacific, and North Atlantic Blue whales. 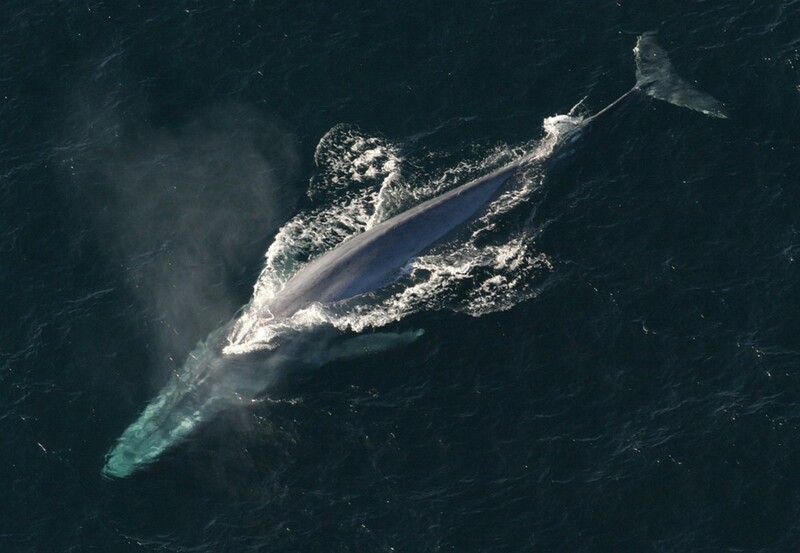 Experts also note that due to the diversity and other uncertainties, there is no way to actually categorize Blue whales. That means trying to put them into categories is neither realistic nor appropriate. The IUCN includes blue whales in the red list of endangered species due to an alarmingly reduced population. Experts estimate that the global population of blue whales has been depleted at a rate of 70 to 90 percent. This estimate includes all types of Blue whales. The biggest threat to blue whales in the past was commercial whaling and exploitation, which is the major reason for their near extinction back in the 1960s. They were been provided protection at the latter end of the 60s, but whaling operations continued. Whaling operations ceased in the 1970s. There are still threats to the survival of this species–make no mistake. They are still prone to entanglements in fishing gear and ship strikes. The reduction of sea ice in the Antarctic will also affect migration, feeding, and breeding patterns. Blue whales are characterized by their slender and long bodies. They can weigh as much as 191 tons and stretch up to 98 feet long. Their colors usually consist of different shades of blue. Some are even bluish-grey in color. Their undersides tend to have a lighter color. Even though the cause of the major reduction in the global population of Fin whales is said to be reversible, it cannot be denied that they are also victims of the same sad history of commercial whaling. This is why IUCN still has this particular species in the red list as an endangered species. Experts estimate that there is still a global decline in their population's numbers among those in the southern hemisphere. The good news is that estimations indicate Fin whales in the northern hemisphere are increasing in population. The status of the subpopulation found in pacific waters is currently uncertain. 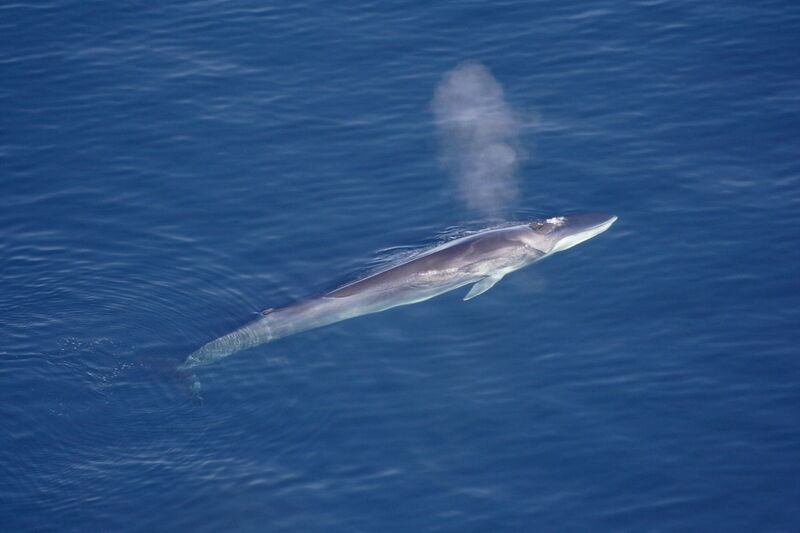 Fin whales–like Sei whales–have long, slender bodies. They have a brownish-grey coloration on their upper sides and a paler shade on the under sides. They are larger than Sei whales, but smaller than blue whales. The largest fin whale ever spotted was about 89.6 ft. The heaviest one ever recorded weighed 74 tons. This rat species is classified as an endangered species on the IUCN endangered species list. It is estimated to have a small global population, struggling to survive on one island: Dinagat Island in the Philippines. Experts point to the destruction of its natural habitat as the main reason for the population decline. Logging activities, mining, and agriculture are the main reasons for the reduction of nearby forest lands where the Dinagat hairy-tailed was known to thrive. This species is actually one of five under the Batomys genus. It was categorized as a separate species in 1998 and is known only because of two specimens that were collected back in 1975. It is more or less an attractive mouse species. It has slick looking fur that is rather thick. The fur on the upper part of its body is reddish-brown in color while its under parts are orange-grey. The tail on this animal is short. It has long whiskers. This unique reptile is endemic to the different islands of the Sulu Archipelago. They can be found in Tawi-tawi, Papahag, Bubuan, Butinian, and Jolo islands. This particular species is classified by the IUCN as endangered in spite of its wide range distribution, the rationale being the heavy deforestation in the aforementioned islands, two of which are completely deforested. The other islands have very small patches of forest remaining. Lowland forest litter, detritus of the forest floor, loose soil, decaying logs, or any dry rotting material found on forest lands serve as the habitat of this species. 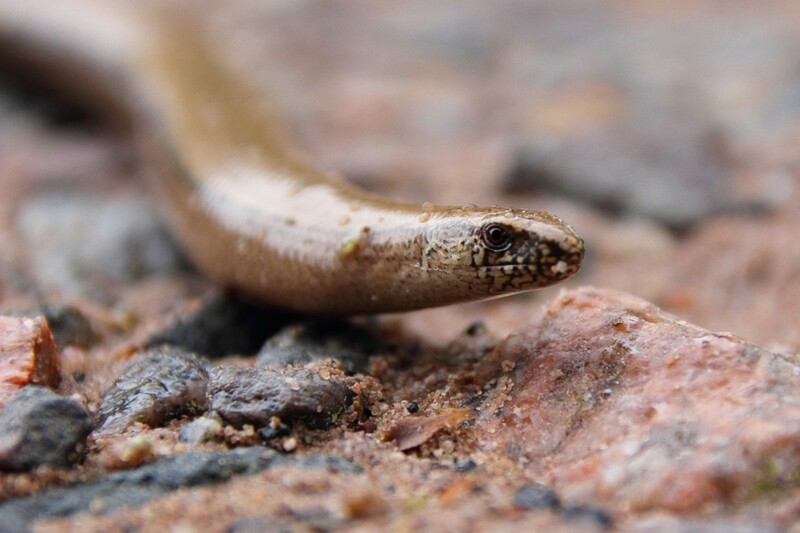 Very little is known of the Limbless worm skink. They are only known to exist because of two specimens collected under leaves along a river bank. This is one of five known limbless reptile species in the world. This particular species has six enlarged chin shields. It also has 22 to 24 rows of mid-body scales. It is also quite small, only reaching up to 74.7 mm. Its upper parts are dark-brownish in color while is undersides are reddish and pale. The Loggerhead turtle is included in the IUCN red list as a species that is vulnerable to extinction. The rationale behind its inclusion is based on the fact that 10 subpopulations under this particular species are also vulnerable to extinction. The current population size of this species is currently unknown. To determine the population of these turtles, researches use the number of nests per annum. According to current trends, there are around 200,000 clutches laid each year. That is a combined total from all 10 subpopulations. There is an estimated range of about 3 to 5.5 clutches for every female found of this species, equaling an estimated 36,000 to 67,000 nesting females every year. 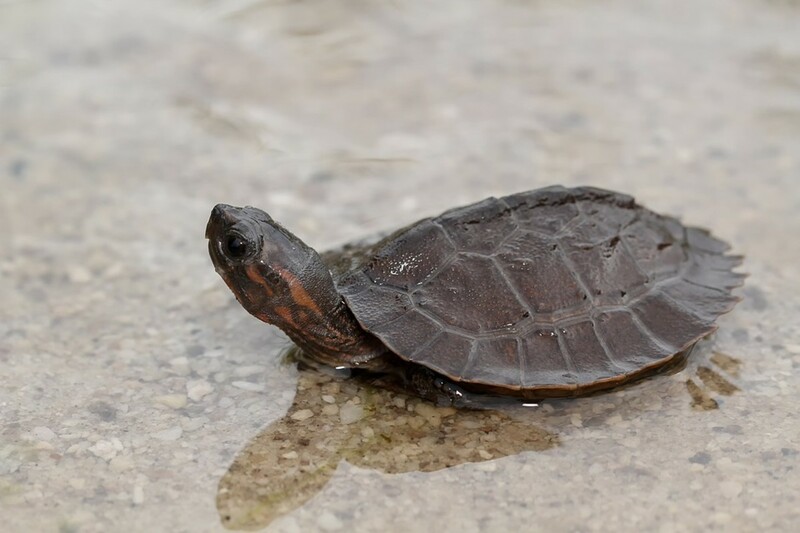 The total nest counts of this turtle species are still showing a significant decrease, amounting to about 47 percent of the combined total numbers compared to previous estimates. This turtle species was categorized as an endangered species back in 1996. The Loggerhead turtle has a global distribution. They mainly live in temperate as well as subtropical regions, but can be spotted in different oceans and other bodies of water such as the Atlantic, Indian, Pacific, and Mediterranean. This species is a type of marine turtle. On average an adult turtle of this species will measure up to 35 inches in length. Adults can weigh up to 298 lbs. The largest specimen ever recorded weighed 1,000 lbs. 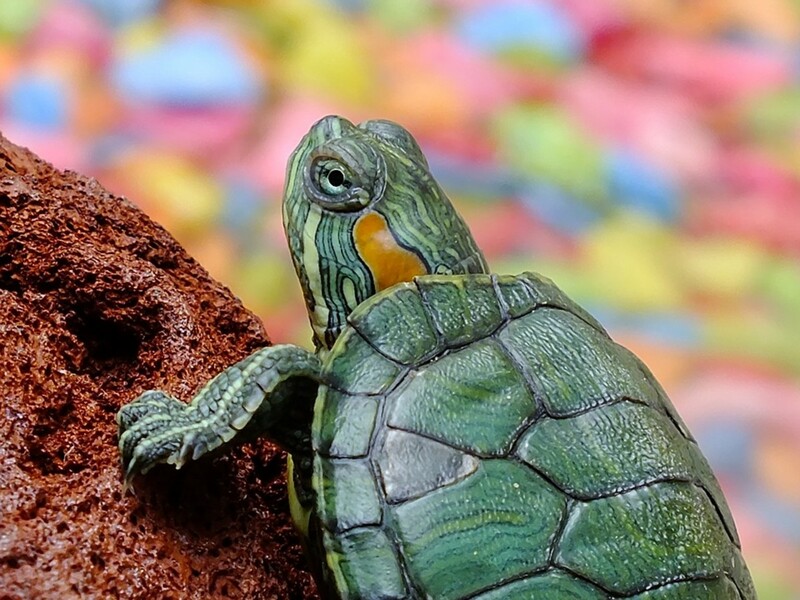 The skin color of this turtle ranges from different hues of yellow to brown. The shell on the other hand is usually reddish-brown in color. There are no gender specific differences in size and features, except that males have shorter plastrons and thicker tails. This species of water snake is endemic to the Bicol Peninsula. Specimens have been found in Lake Manapao and Lake Buhi. This snake is also known locally as the Lake Buhi Bockadam. The IUCN has included this species in their red list as an endangered snake species. This is because its habitat is considered very limited. For example, Lake Buhi only consists of 19 square kilometers (km). Its biggest threats today include the destruction of its natural forest habitat. Pollution, including the increasing poor quality of the lake water, is also a contributing factor to the snake's population decline. 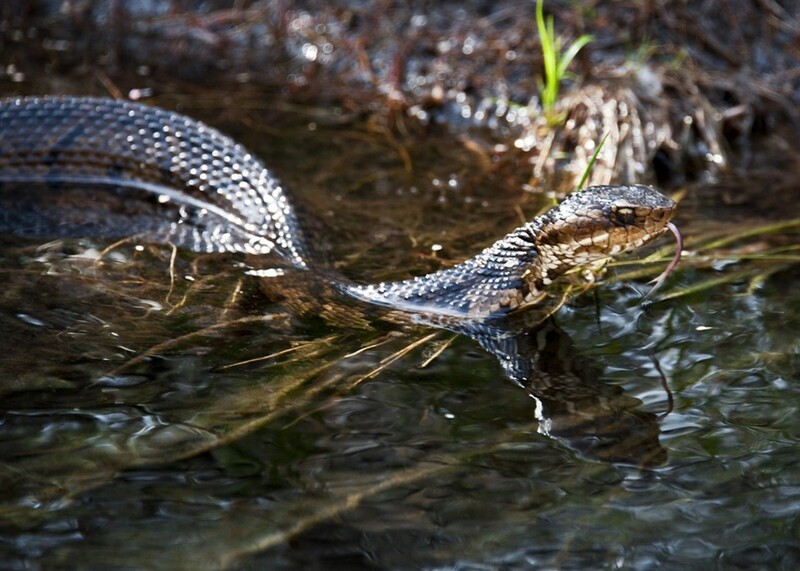 Since this water snake can also thrive beyond its immediate lake habitat and surrounding areas, it is possible that it may be growing expanding its territory into other nearby forest areas. More studies and surveys are needed to ascertain its distribution and abundance. This water snake is characterized by the 29 scale rows found along its midbody. It also has one divided rear upper labial. One will also notice its keeled scales on its crown. On its rows of scales, the snake sports two lateral stripes. Its bodily scales form a uniformly dark ventral pattern. The Humphead wrasse is a species of fish that is included in the IUCN red list for endangered species. Due to a number of threats, the populations of this fish are in a decline. One of the culprits is unreported, unregulated, and even outright illegal fishing. Another issue is that there are local fishermen who do not know about the vulnerable state of the fish or that catching them is prohibited. The lack of oversight from the local governments where these fish exist is also an important factor affecting their numbers. There is a lack of political will to enforce laws that would protect this species. On top of that, the degradation and loss of its natural habitat have a huge impact on the population. To add insult to injury, some local fishermen still practice destructive fishing methods like using cyanide and dynamite. Needless to say, the illegal fish trade is a major problem in Southeast Asia. 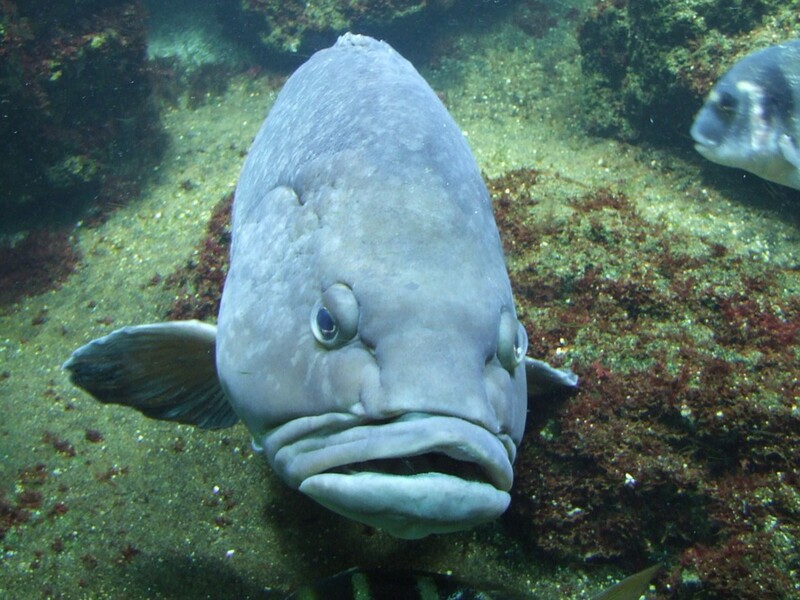 This species of fish is the biggest member of the Labridae family. Male Humphead wrasse can grow up to 2 meters long and weigh up to 180 kg. Females are a bit smaller than the males. Other distinct features include the two black lines found behind their eyes, thick lips, and a hump that looks like its forehead. Its colors vary from blue-green to purplish-blue. The biggest threat to the Green turtle today is illegal poaching, egg harvesting, and hunting. Many different human actions, whether intentional or unintentional, have effects on the lives of these marine turtles. Unintentional encounters with this species include pollution, habitat destruction, entanglement in fishermen's nets, and also boat strikes. Habitat loss occurs when former nesting grounds are turned into reclaimed, residential, or commercial areas. Disease caused by pollution also kills a sizable portion of this species. The various diseases affect not only mature Green turtles but also hatchlings as well. 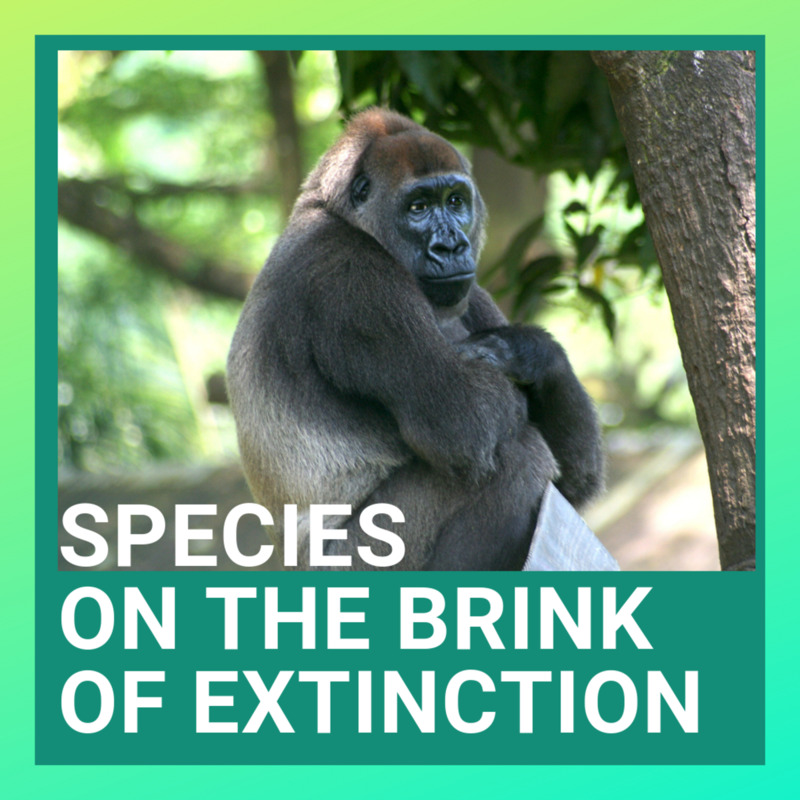 These and other factors contributed to the rationale for putting this species in the list of species threatened by extinction, according to the IUCN. Male Green turtles have physical and developmental differences compared to females, making them distinguishable. Males usually have longer claws on their front flippers and a larger tail. The IUCN includes this bird species on its red list and classifies it as an endangered species. It has a notably small population and very small range. Both range and population are observed to be on a decline. Another threat to this species is the continual degradation of its natural forest habitat. That also contributes to its fragmentation, which means the remaining forests cannot completely support the current Black shama population. It is estimated that there are around 1,000 to 5,000 Black shamas living today. This is according to the latest survey, taken in the Nug-as Forest. Experts estimate the population may even reach up to 6,500 Black shamas, but this estimate may be a generous one. However, experts estimate the population of mature Black shama to be somewhere between 670 to 3,300. This species has a black coat of feathers and can grow up to 20 cm in length. They also have a distinct bluish gloss at the tip of their wings. The tips may even have a bit of brown on them. The males tend to have brighter colored feathers than the females. This species is also known as the Panay cloudrunner. Just like other endangered species on the island of Panay, Crateromys heaneyi has also fallen victim to the massive deforestation on the island, which is due to agricultural encroachment and illegal logging. It is believed that the creature mainly resides in the remaining forest area on the western side of the island, at an elevation of 400 m. Local residents also claim that the rodent can also be found at higher altitudes. More surveys need to be conducted to ascertain the population size, but experts presume the degradation of the forest has caused the population to decline. 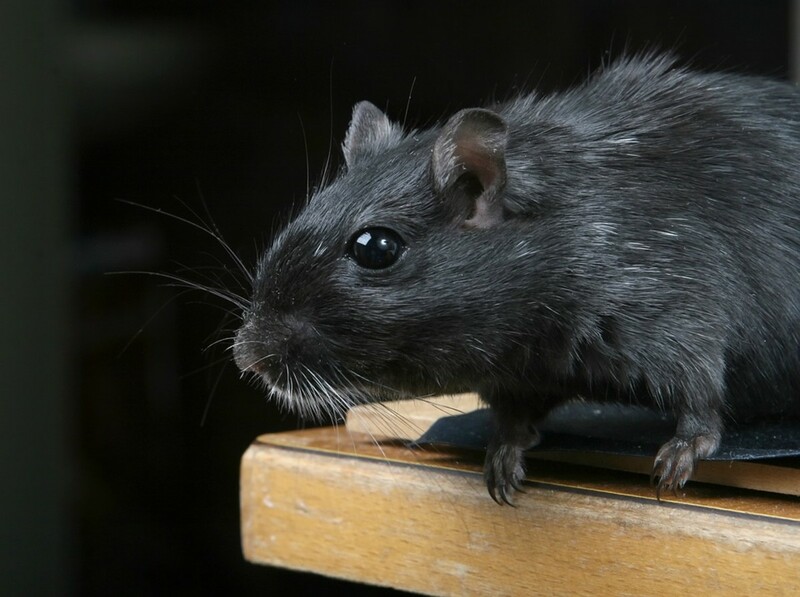 This rodent species is actually the second largest of the cloud rats family in the country. An adult Panay cloudrunner can grow up to 600 mm in length. It has a long bushy tail and the rest of its body is covered in greyish brown colored fur. This species is nocturnal and can be found nesting in the hollows of trees. The usual diet of these animals include an assortment of leaves, papayas, corn, guavas, bananas, and other fruits. The Negros shrew can only be found on the island of Negros in the Philippines and is locally named as the Katsuri. Because of the limited region where the Katsuri resides, it has been included in the IUCN red list and classified as critically endangered. 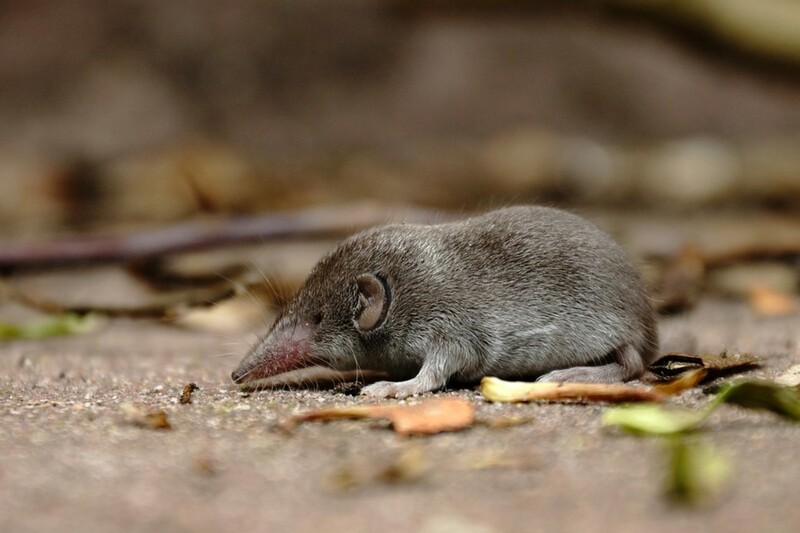 The occurrence of the shrew is less than every 5,000 square km. It can be spotted in only five locations on the island. The heavy reduction in its population is due to the massive deforestation and the destruction of the Negros shrew's natural habitat. The Flame-templed babbler is another bird species that is endemic to the islands of Negros and Panay. Its primary habitat is the forests found in the tropical and subtropical lowlands of these islands. One major threat to the bird is habitat loss, since the remaining forest areas on these islands is steadily declining. Estimates show there is only 10 percent of forest remaining. Dasycrotapha speciose is a small to medium-sized bird that grows up to 16 cm in length. The "flame templed" part of its name comes from the flame-like orange patch of feathers found above and slightly around its eyes. Other than that, its bill, eye rings, lores, and forehead are all yellow. Another distinguishing feature is the black nuchal collar. The upper parts of its body are covered in olive-colored feathers that have streaks of white, which are usually found on the back. The feathers on its underparts are also yellowish. One can also notice black spots on its throat. 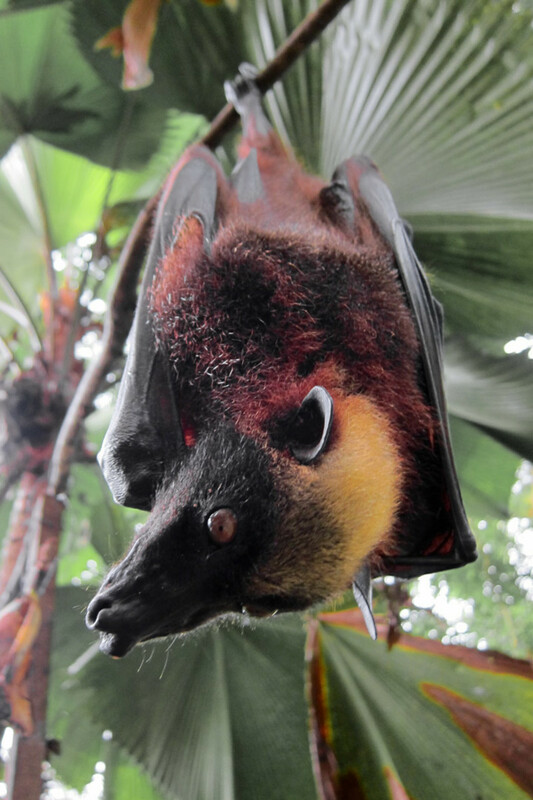 This species of bat is also known as the Mottle-winged flying fox. It is endemic to the tropical and subtropical forests of the Philippines. 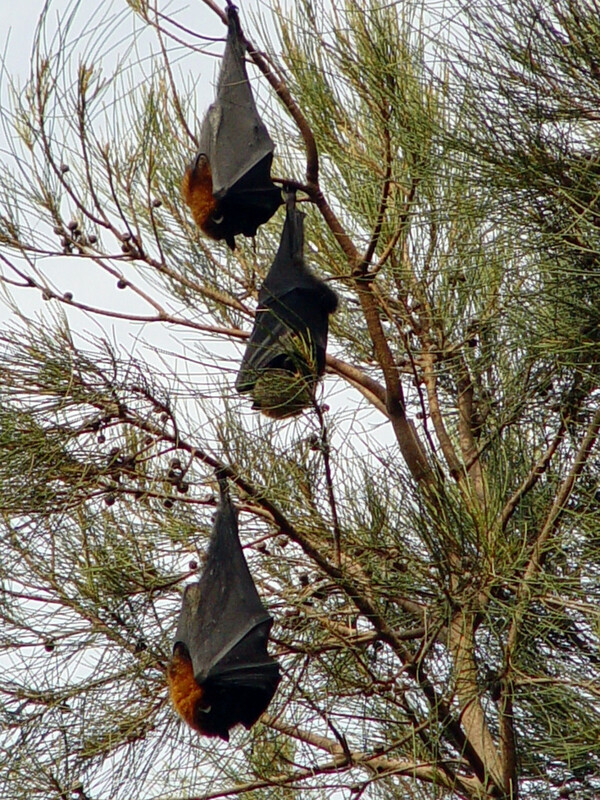 As of 2008, experts determined the biggest threat to the White-winged flying fox to be habitat loss, which is the cause of its massive population decline. The average length of this bat's forelimb is at 139.5 cm. It typically weighs around 340 grams. Just like other bats, this one also dwells above ground. Plants and other fruits serve as their primary food source. This bat is distinguished by its dark brown eyes. Its body is covered in grey fur. The bat sports a whitish streak beginning from its head and running down its back. This bird species is also known as the Mindoro imperial pigeon and is another endemic species to the country. It primarily inhabits montane forests in regions that are tropical and subtropical. The primary threat to this unique is the massive loss of its natural habitat. Its status was changed from vulnerable to endangered in the year 2008. Current population estimates range from 1,000 birds all the way up to 2,499. This species is distinctly marked by the colors of its head feathers, which are a light blue-greyish color. Pink feathers cover its throat, the lower part of its face, and its forehead. Its eyes have red orbital skin, which are surrounded by black rings. Its hind neck is red. It also has wing coverts that are edged in bronze feathers. 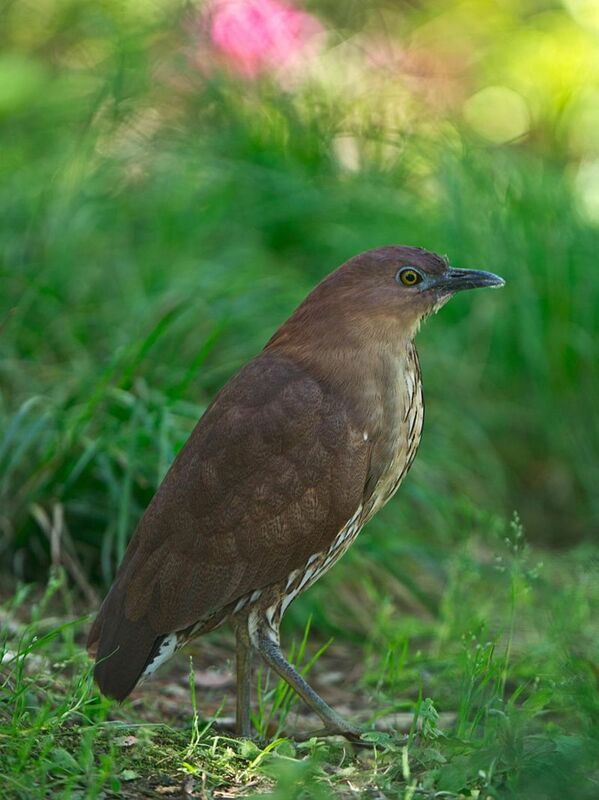 This species of night heron is endemic to Japan. However, it migrates to the Philippines during the winter. It spends other seasons in the various countries within Asia. 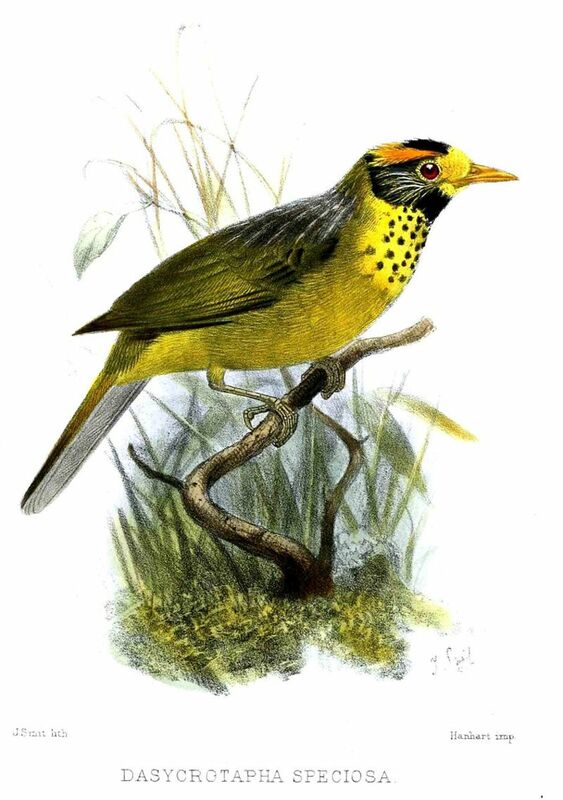 This bird prefers to reside and breed in damp forests that have dense foliage, so it has been particularly affected by deforestation in the Philippines. This heron has a wing span that can reach up to 47 cm. The color of their feathers change as they grow older. Mature herons have russet-colored feathers on their head and neck, while juveniles' feathers are black. These herons have yellow skin on the outer layers of their eyes and a wide beak. Another unique feature is the black lines on the covert feathers of its wings. The Apo swallowtail is a butterfly species that is endemic to the country. It has been on the IUCN red list since 1985 as a species that is vulnerable to extinction. 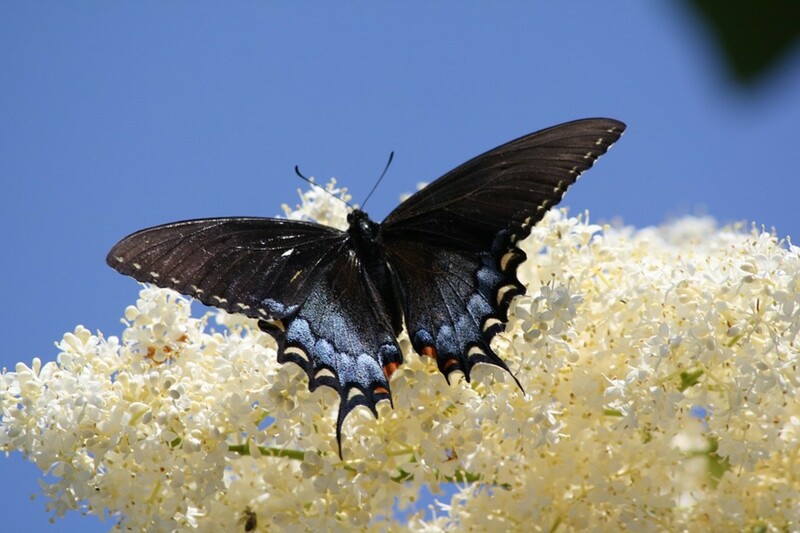 This butterfly's forewings are primarily black. At the center of their wings is a light green area. It also has light green spots in the same area. 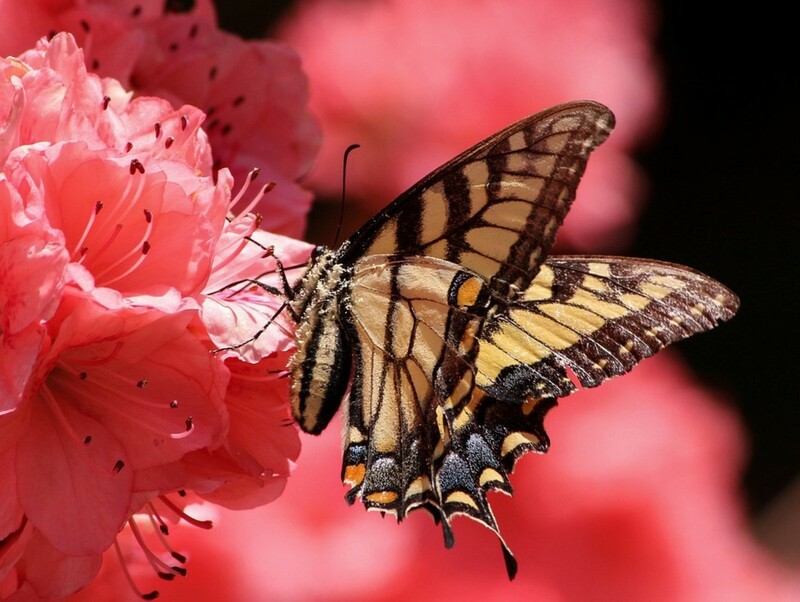 The basic color of this butterfly is brown. Its topside and underside are essentially the same. The Apo's hind wings are also black but have short tails. The edges of these wings are wavy with a light green coloration. The thorax and head are also black with a gray underside. 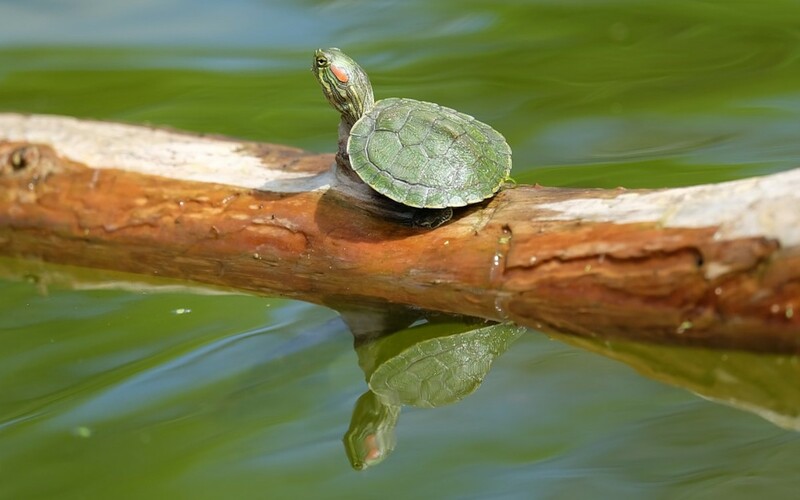 This turtle species is also known as the Sunburst turtle and the Spiny terrapin. The name of this turtle is derived from the spiky edges on its carapace. This turtle species is currently on the IUCN's red list as an endangered species. Detailed monitoring is necessary to ensure the protection of this type of turtle. This species of deer is on the endangered species list since it occurs in less than 5,000 square km of its natural habitat. Sightings also occur in less than five areas or locations. They are known to be on a steady decline caused by illegal hunting. This deer can only be found in the Calamian Islands in the Palawan Province. Males can grow up to 26 inches in height and have three tined antlers. The Ixos siquijorensis is threatened by the destruction of its forest habitat. Its population is now very small and its range is severely declining. Because of this the IUCN has included it on its red list as an endangered species. The Streak-breasted bulbul is a species of song bird that is endemic to the Philippines. It lives mainly in tropical and subtropical forests in the lowlands, where it is usually moist. Its greatest threat today is habitat loss. Compared to other species in its family, the Streak-breasted bulbul has a longer tail. Its total length is 22 cm. It has brownish-grey feathers on its upper breast and under parts. It also has a distinct dark cap. Its plumage is more uniform than other species in its family. 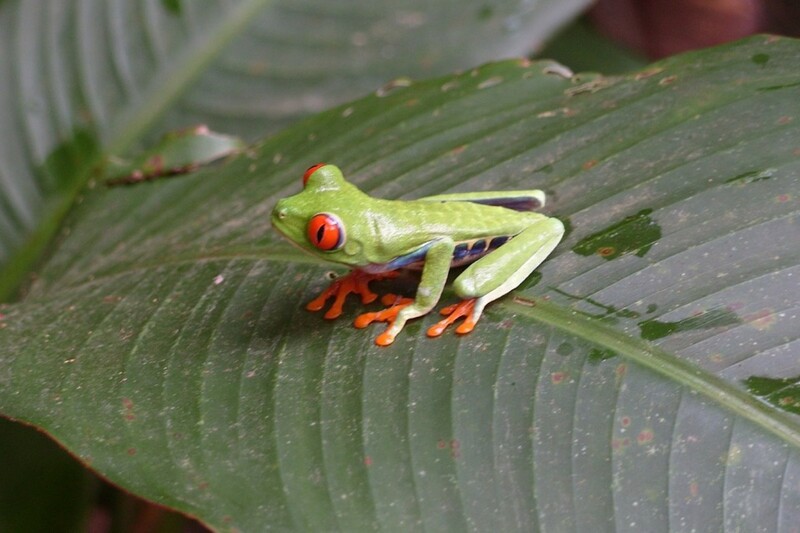 The IUCN includes this frog species on its red list under the "near threatened" category. This species of frog is chiefly found on the island of Catanduanes, though some may also be found in the other areas of the Bicol Peninsula. The main threat to this species is the destruction of the lowland forest areas caused by residential and agricultural developments. This bat species is endemic to the islands of Cebu as well as in Sibuyan and Negros and is known locally as the Bayakan. Some believe that there are tube nosed fruit bats located in Panay Island as well. Due to the low population of this species, it has been included on the IUCN red list. Its current population trend is decreasing. Its most distinct feature–its tubular nose–is also the reason for its name. It was first described back in 1984. Some say that it is one of the strangest bat species in the world. It has a pair of separate, tubular nostrils They are about six mm in length and usually project outwards above the mouth. Another distinct feature are the stripes on its body: the Philippine tube-nosed fruit bat is one of only a few species of bats to have them. This bat also has a singular dark stripe going along the middle section of the its back. Other distinct marks include yellow spots on the wings and ears. It also has golden brown fur. The Luzon peacock swallowtail is a species of butterfly that is endemic to the Philippines. It is currently listed on the IUCN red list is categorized as an endangered species. This species of butterfly is illegal to trade. The wingspan of this butterfly ranges from 11 to 12 cm. The wings have a notably bluish-green color and a chain of spots as well. Its forewings are primarily black and are spotted with green scales. Its undersides are dark brown with white bands on the outer edges. Its hind wings have tails with a wavy edge. The underside of these wings have whitish scales with spotted red edges. The body of this butterfly is black and also has a characteristic green scale pattern. Males have fewer red spots than females. 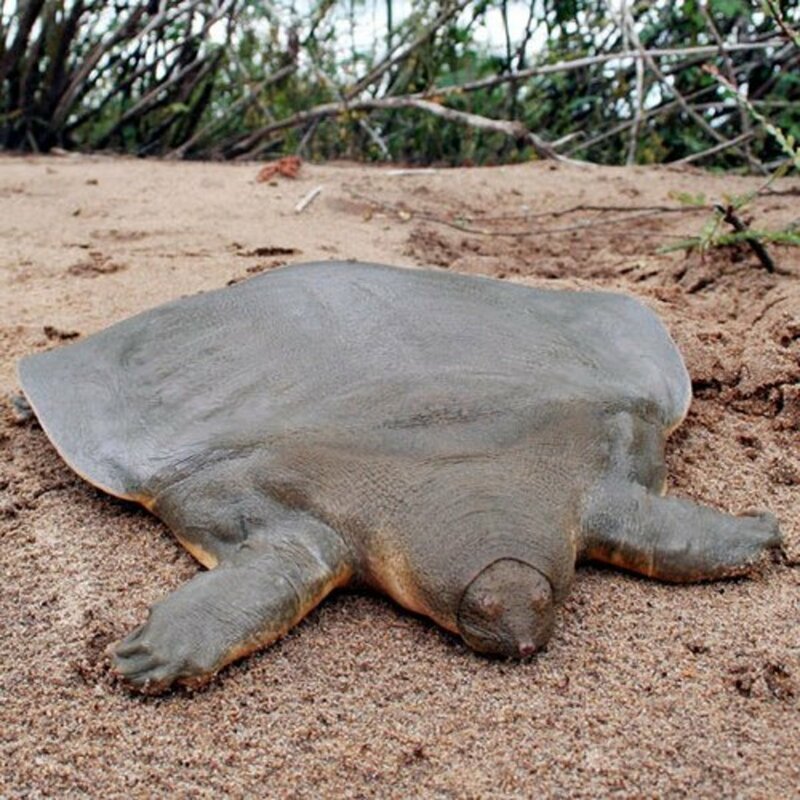 This turtle is also known as Cantor's giant softshell. It is a species of freshwater turtle that can be found in the Philippines and other Southeast Asian countries. Due to the massive decline in its population, IUCN has classified this turtle species as endangered. This particular turtle species has a lot of distinct features. 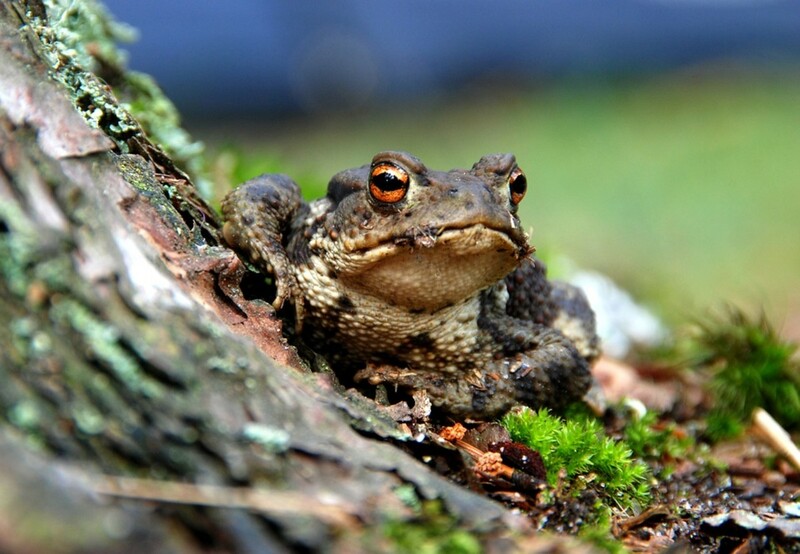 It has a pair of small eyes that are located near the tip of its mouth and a broad head. Its carapace has an olive color and a smooth texture. Juveniles of this species are known to have yellow heads and dark spots on their carapace. Reports claim this species can grow up to six feet in length. The largest recorded carapace is about 51 inches in length. The heaviest recorded Frog-face soft shell turtle is 220 lbs. This species is carnivorous and an ambush predator. Its diet consists of fish, mollusks, and crustaceans. It spends the great majority of its life motionless and buried. Its mouth as well as its eyes are the only parts of its body that remain slightly visible above the sand when it burrows. It only surfaces twice a day to replenish its air supply. This species of dove is endemic to the islands of the Sulu Archipelago in the southern part of the Philippines. The Tawitawi brown dove is currently threatened by habitat loss although surveys have shown the damage has been reduced significantly in past years. Because of this, the dove has been reclassified as "endangered" from its previous classification of "critically endangered." The Tawitawi brown dove is a medium- to large-sized bird. They are usually 27 cm long. 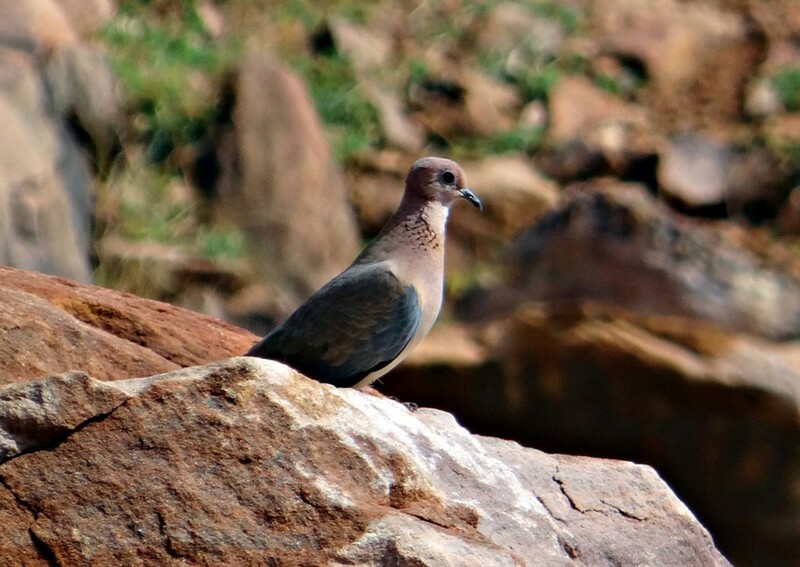 Its color is brownish though some doves of this species may also have a matte grey hue. The hind necks as well as the nape may also have a glossed brown color. The rest of the feathers, especially on its upper parts, have a darker olive-brown coloration. The feathers on its under parts have a rusty look, especially when you inspect its belly. It also has grey undertail coverts. These doves are often found flying solo but at times can be found in pairs. This is a frog species that is endemic to the island of Mindoro. It inhabits the lowland forests on the islands tropic and subtropic areas. This species can also be spotted in tropical as well as subtropical shrub lands. The species is facing habitat loss as huge sections of the old forests are converted for human use. The demand for farm lands as well as residential lots is increasing in the Philippines, to the detriment of many native animals. Because of this, the Mindoro tree frog has been included on the IUCN red list and is classified as an endangered species. This species is severely fragmented and population trends are showing a decline. Hazel's forest frog is endemic to Negros Island as well as to the island of Masbate. Platymantis hazelae is included on the IUCN red list as an endangered species. Its distribution is severely fragmented and its population is declining. 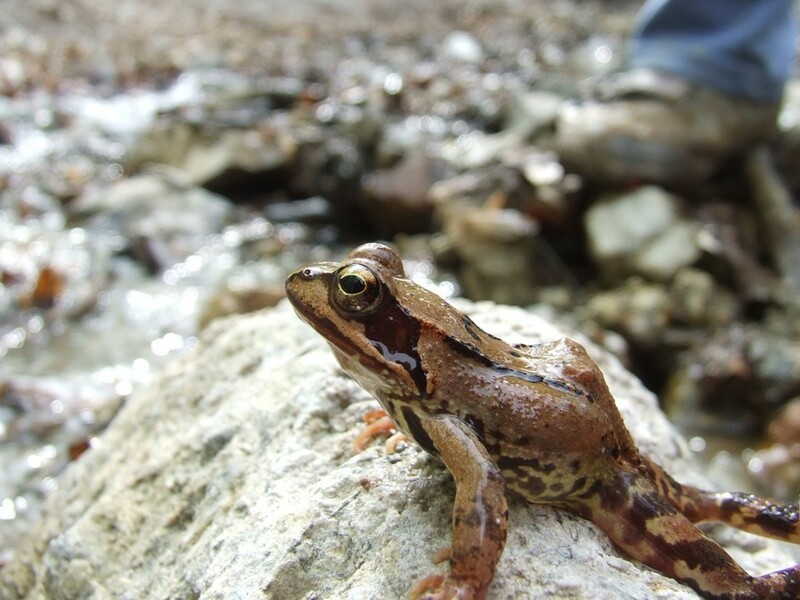 This forest frog have been observed laying eggs and living in screw pines. They lay their eggs on the leaves of forest trees. The entire body of this frog is covered in a camouflage pattern of different shades of brown. An adult frog is small enough to fit in the palm of your hand. Mount Data forest frog is endemic to the mountain regions on the island of Luzon in the Philippines. It inhabits the moist mountains within the tropical and subtropical areas of the Cordilleras. Other than Mount Data, this species of frog has also been spotted in areas such as Mount Pulog and Mount Polis. The range of this species is severely fragmented and is currently threatened by habitat destruction. Because of this and other factors, this frog species has been included on the IUCN red list as an endangered frog species. It would be great if this could be shared to larger audience. Thank you for the info! It's sad that we don't take care of Mother Nature. But the effects of that are starting to appear. Let's hope that we will realize how much damaging we are making and how this will affect us till is not to late. Thanks for this article! Well-written. 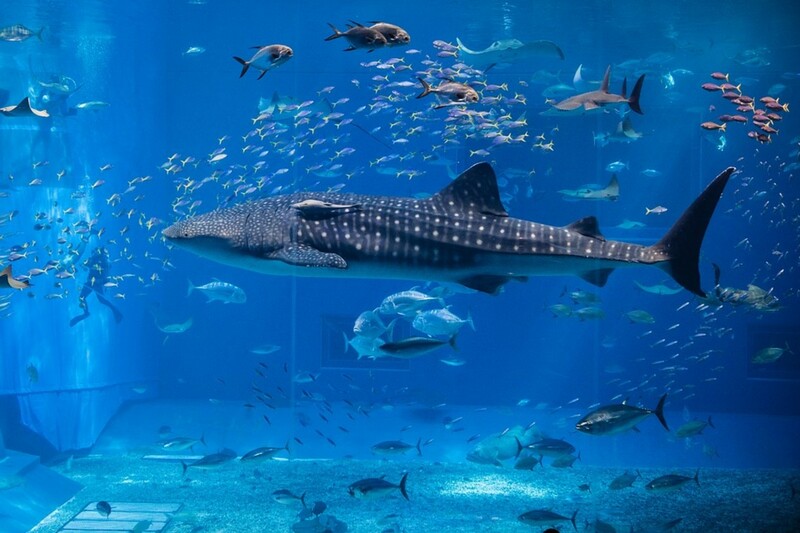 Just a minor comment though, the Sei Whale photo is actually a photo of a Whale Shark. I think it is so sad that all of these animals are endangered mostly because of man's greed. I did an article on the Philippine Eagle - they have made it the national bird in hopes of keeping it from going extinct, similar to our Bald Eagle in America. I sincerely hope it works - it's a beautiful bird. The pigs are cute, too. How can mankind be so cruel? ?